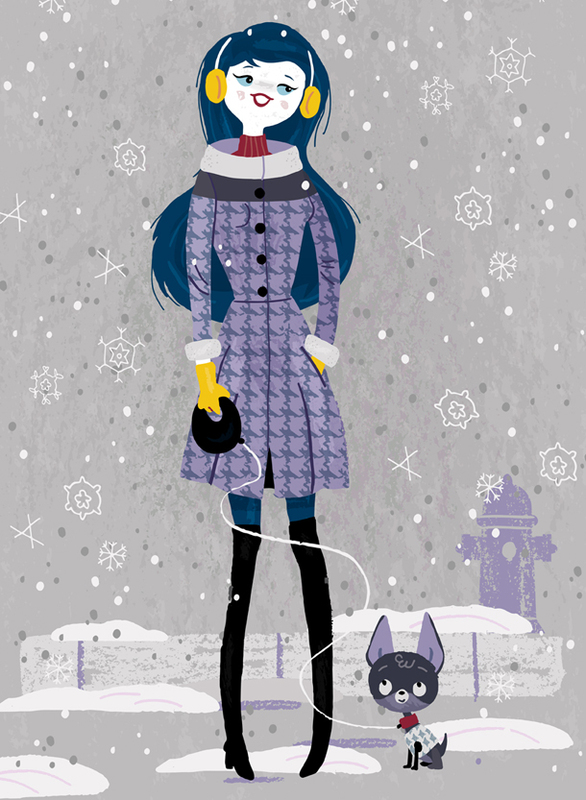 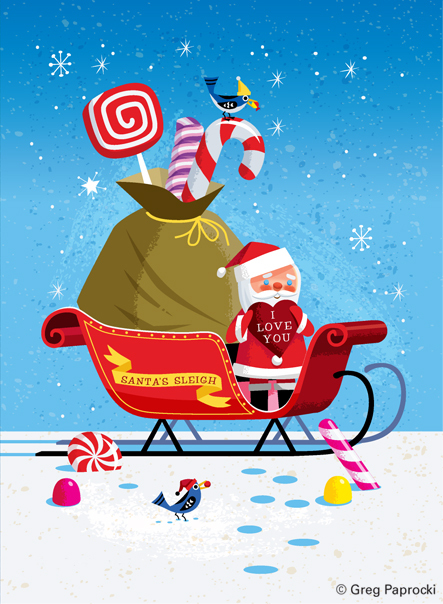 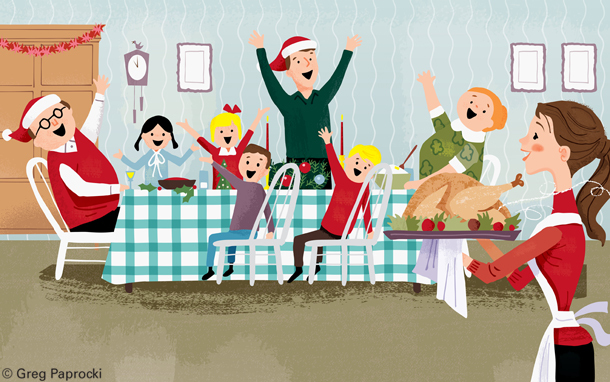 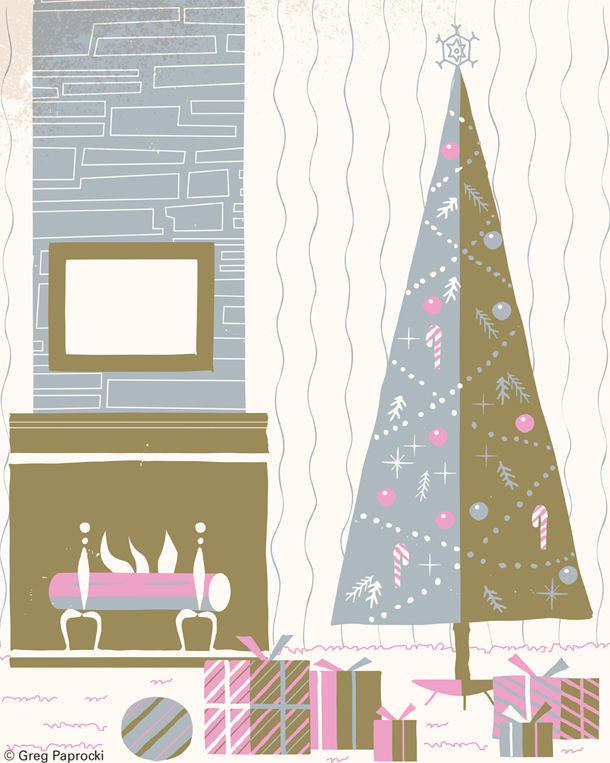 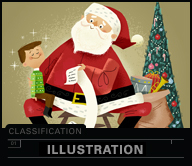 Here is an array of charming holiday images. 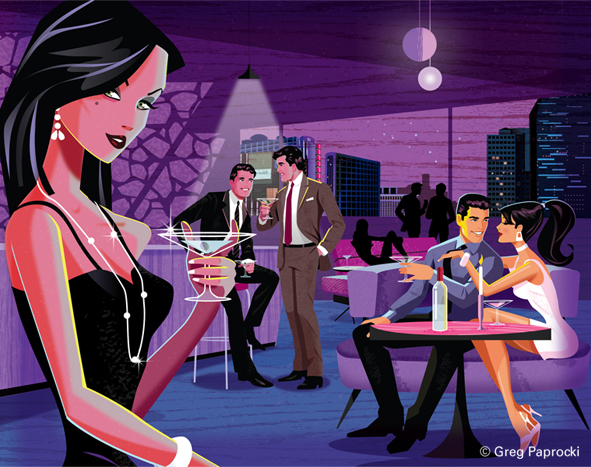 Invoking emotion through simplicity of line and color Greg works in partnership with Getty Images to increase his exposure globally. 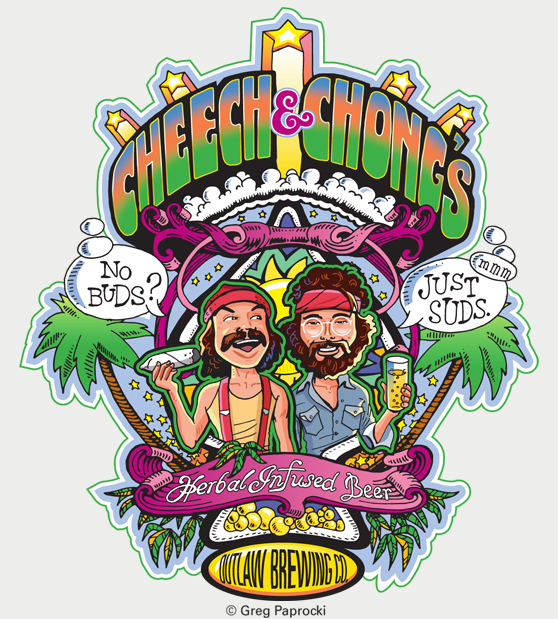 This beer label challenge was in capturing the essence and history of Cheech and Chong. 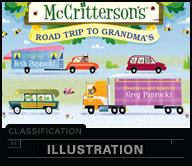 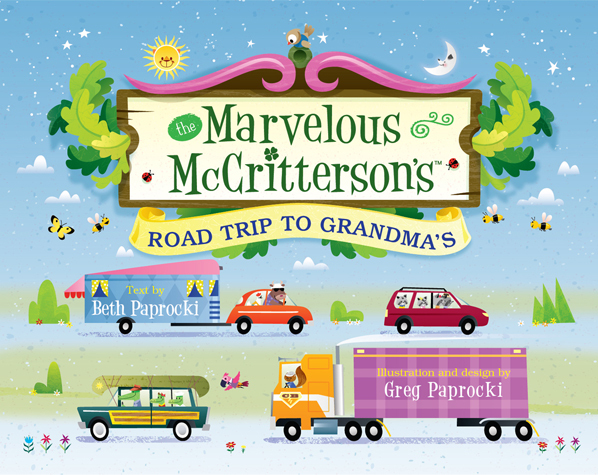 This luscious candy-coated artwork is for the first in a series of McCritterson’s books. 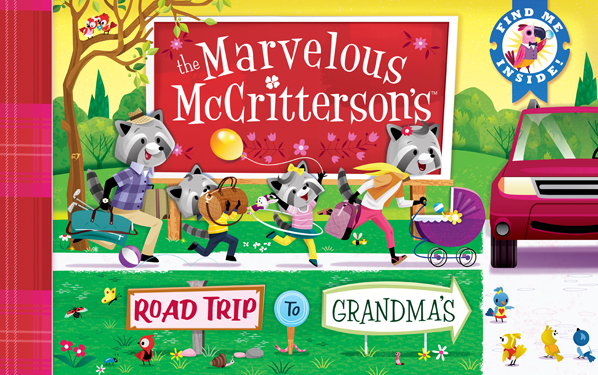 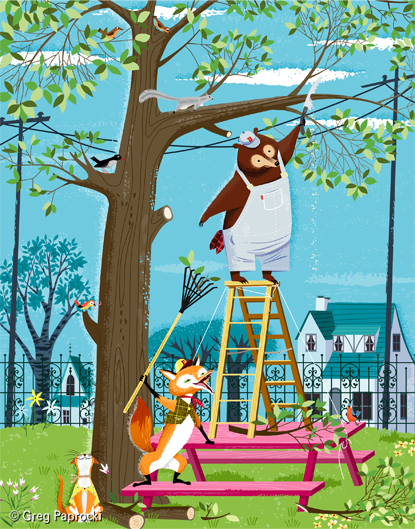 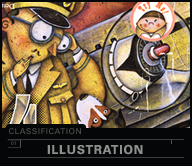 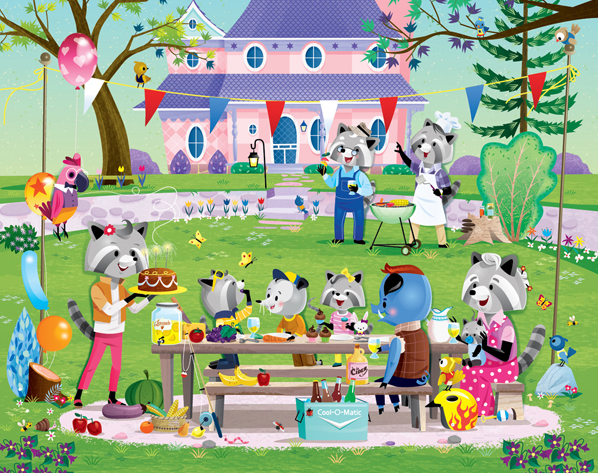 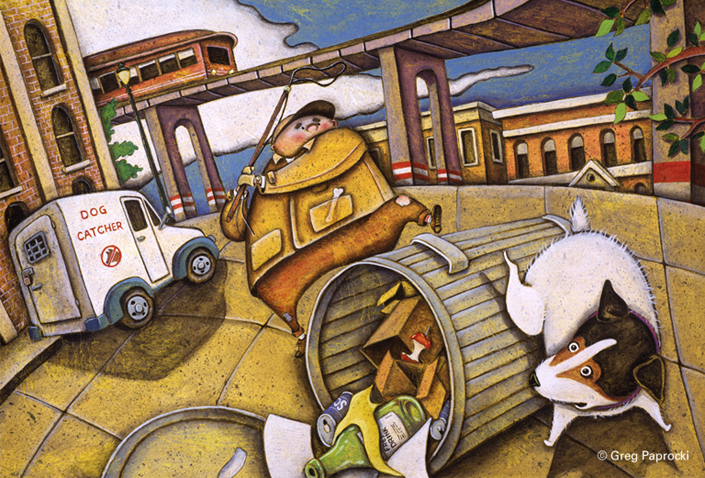 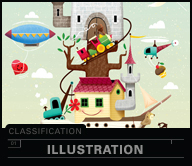 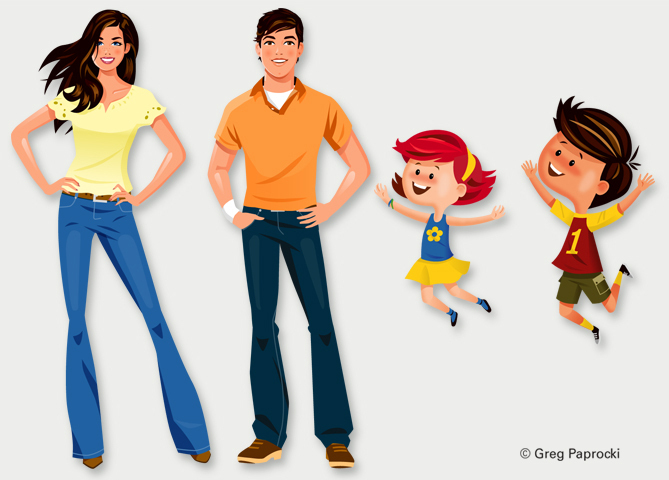 Concepted and illustrated by Greg, follow this family of raccoons as they discover adventure in everyday life. 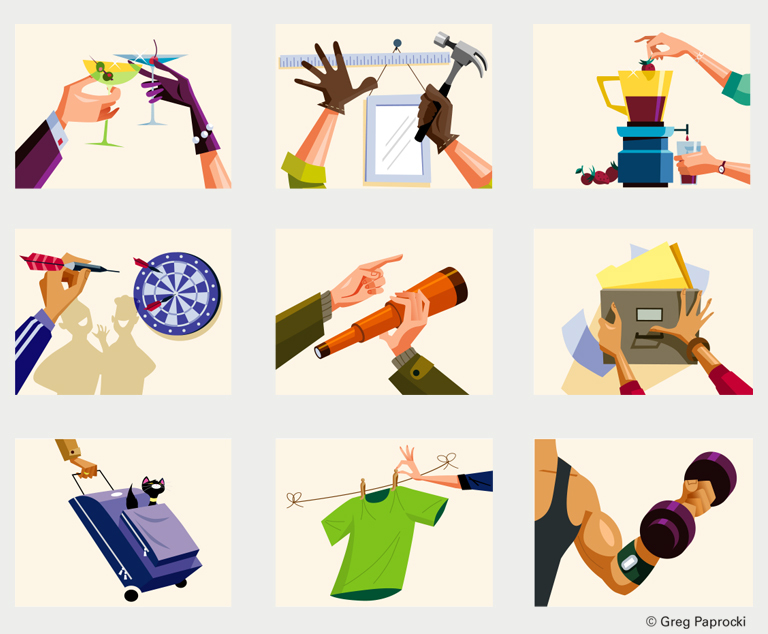 These simple yet technically challenging images were done by Greg for artwork licensing through Getty Images, the largest company in the world for this type of service. 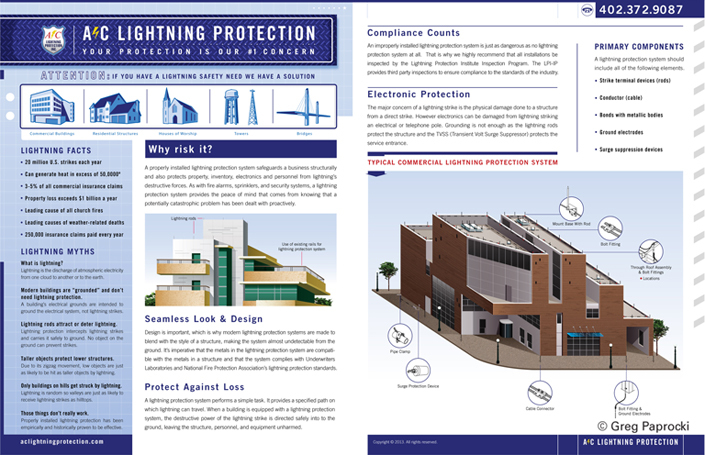 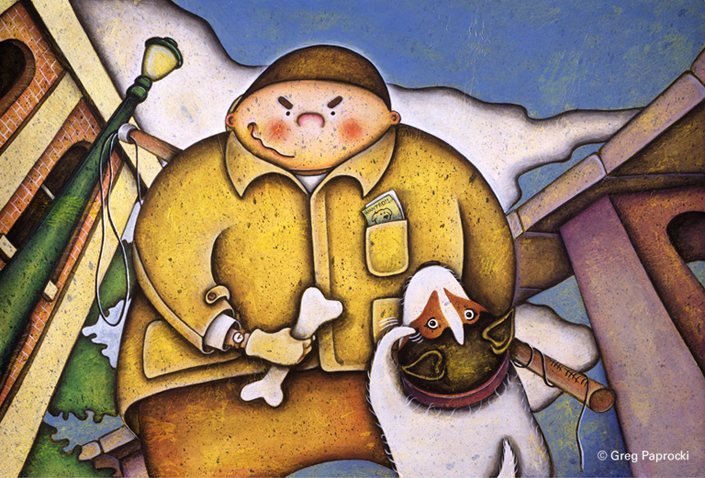 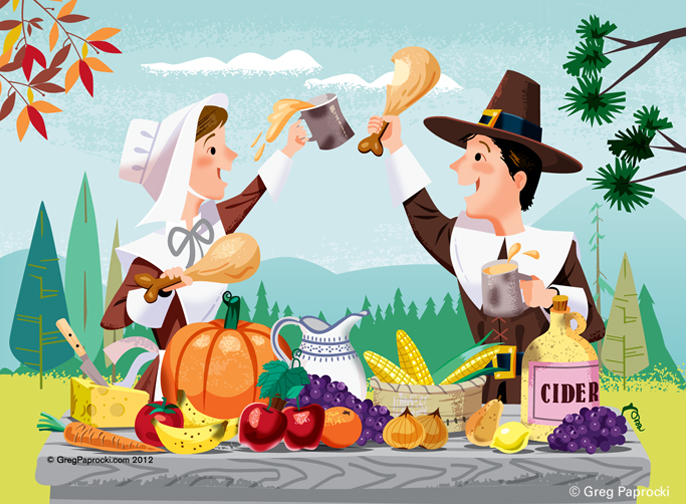 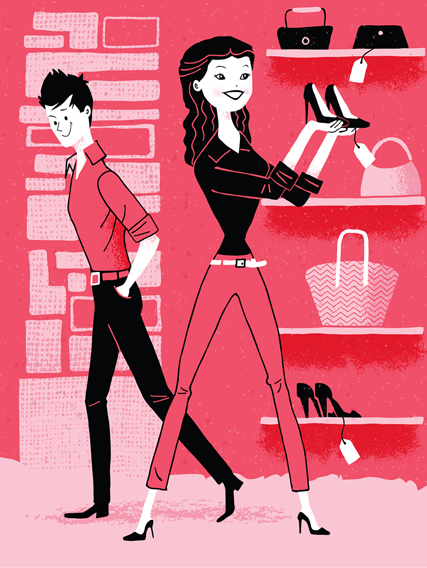 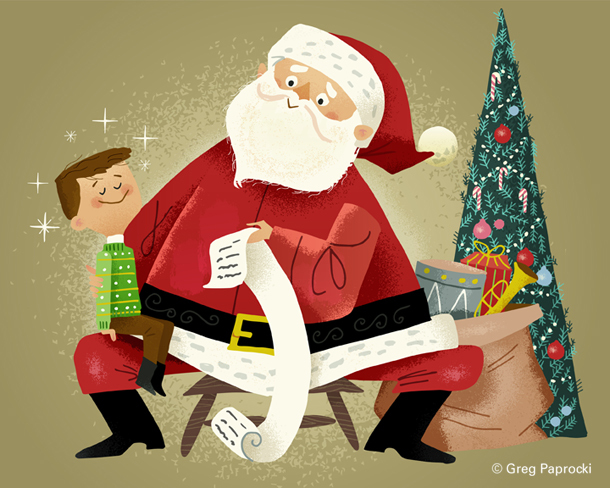 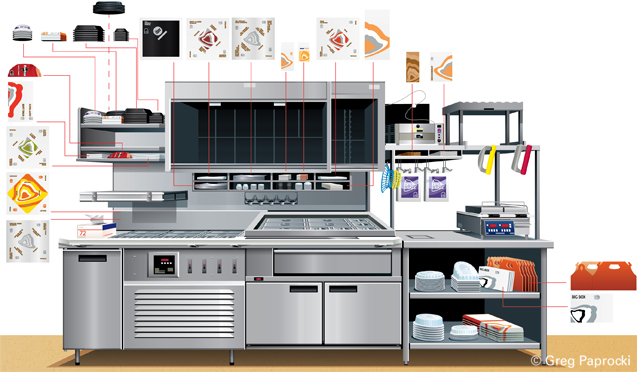 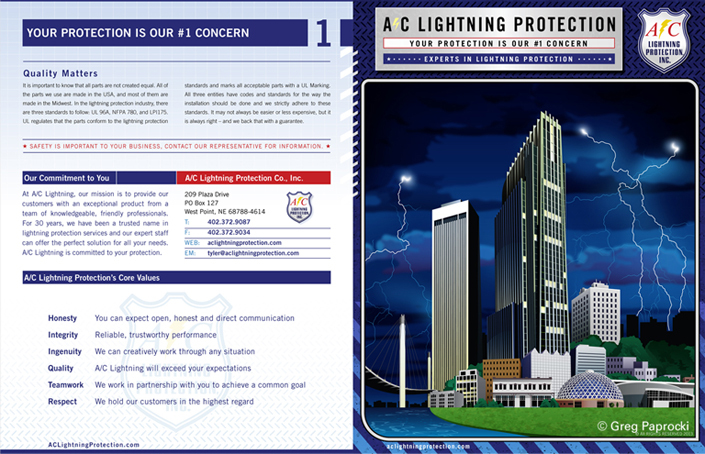 This is a promotional brochure written, designed and illustrated by Greg Paprocki, Inc. 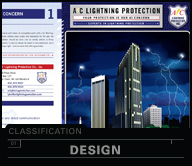 The goal is to educate people on technical information in a condensed and quick manner. 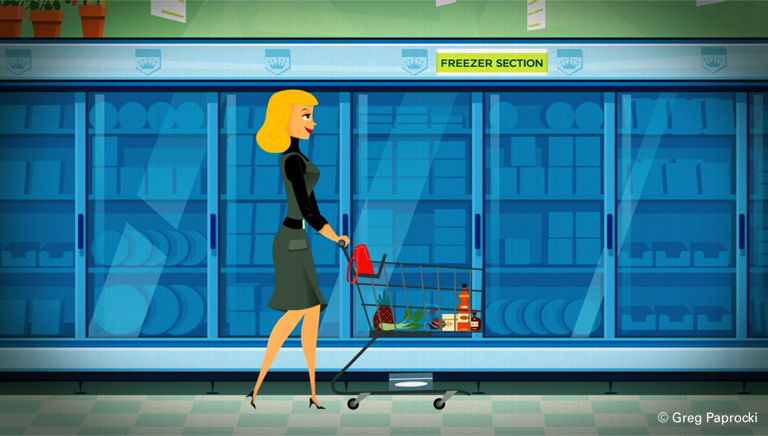 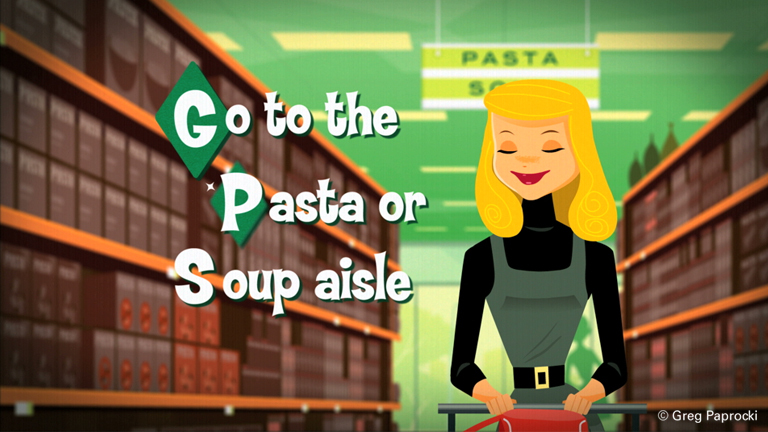 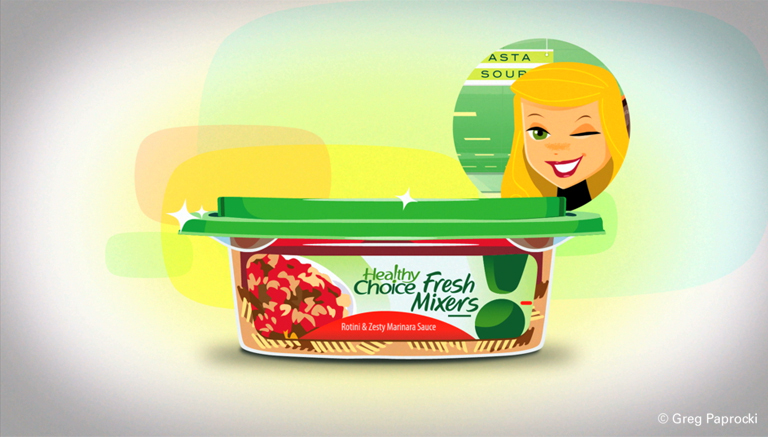 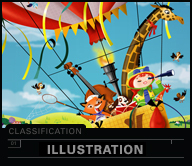 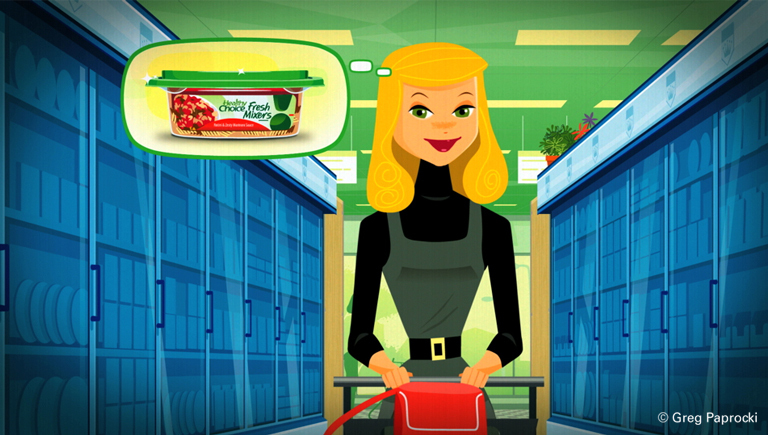 This is artwork for an animated commercial educating consumers that their new product was in the soup aisle and not in the frozen food aisle. 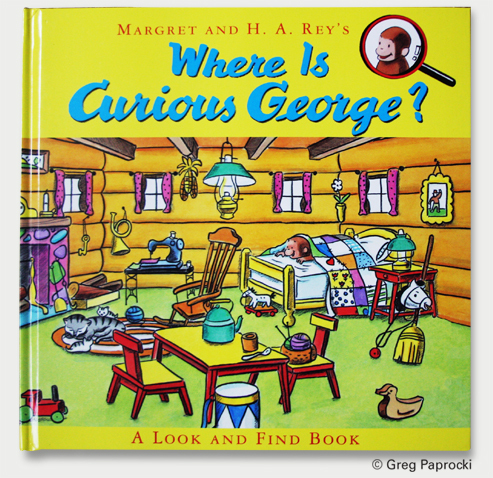 Greg is flattered to be the illustrator for Curious George’s beginning reader books. 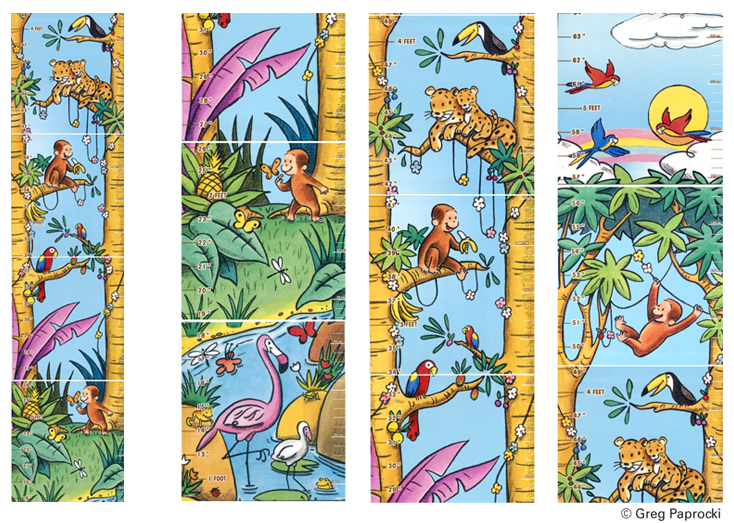 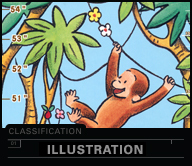 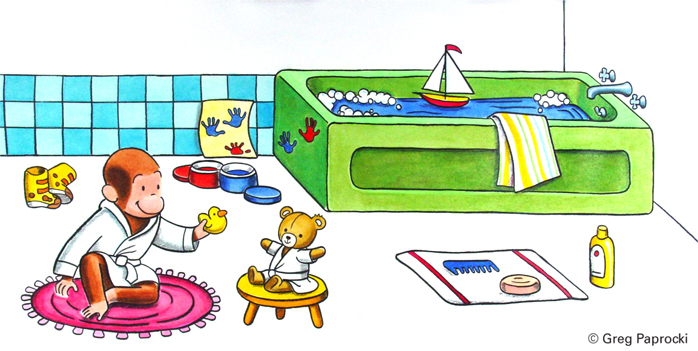 This is a small example which includes a growth chart, the cover of â€œWhere’s Curious George?” and a piece of art from “My Favorite Things”. 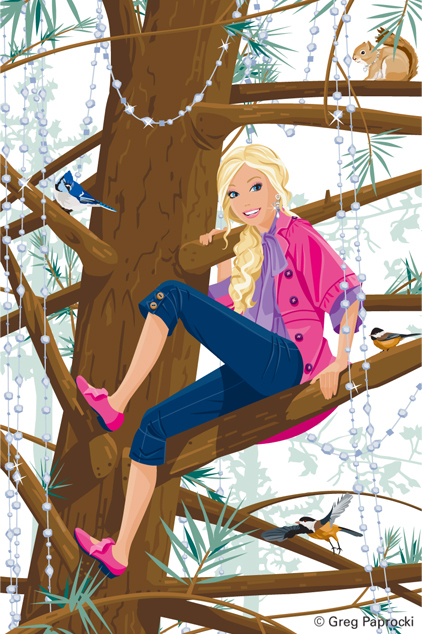 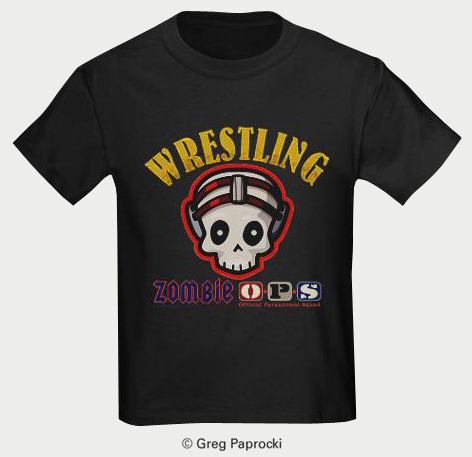 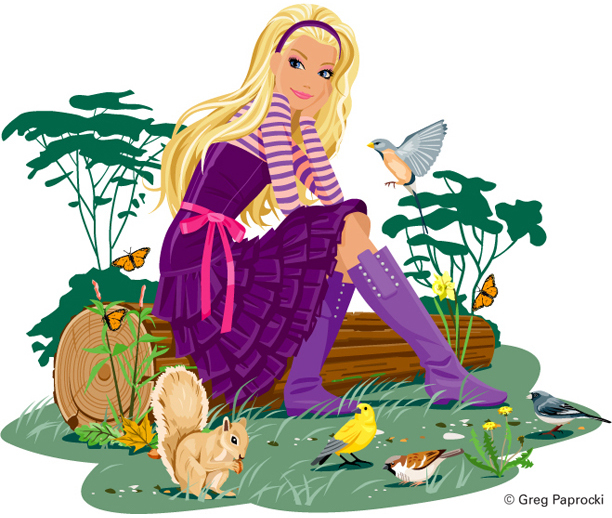 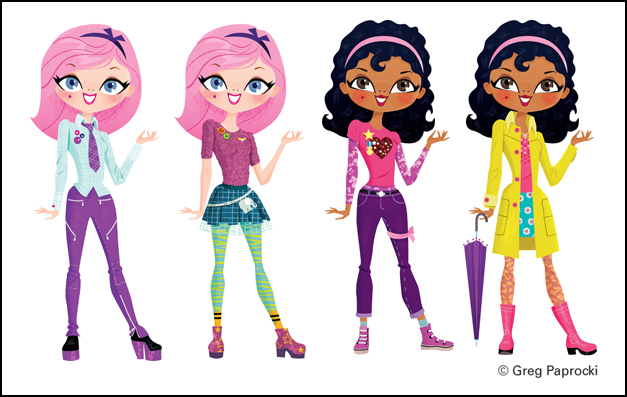 Greg spent several years freelancing for Mattel working on art for their Barbie brand. 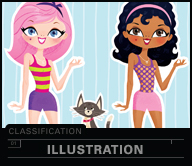 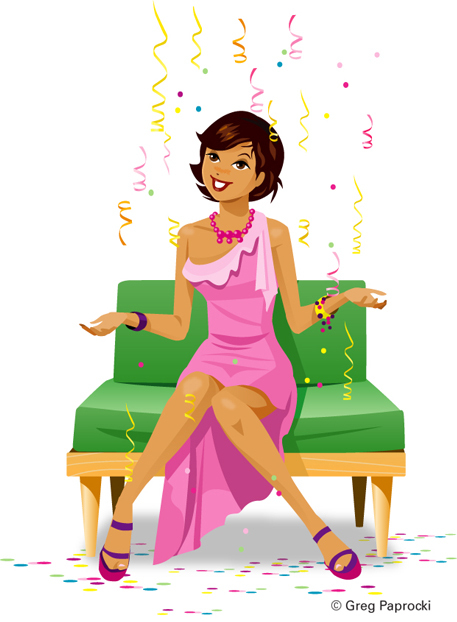 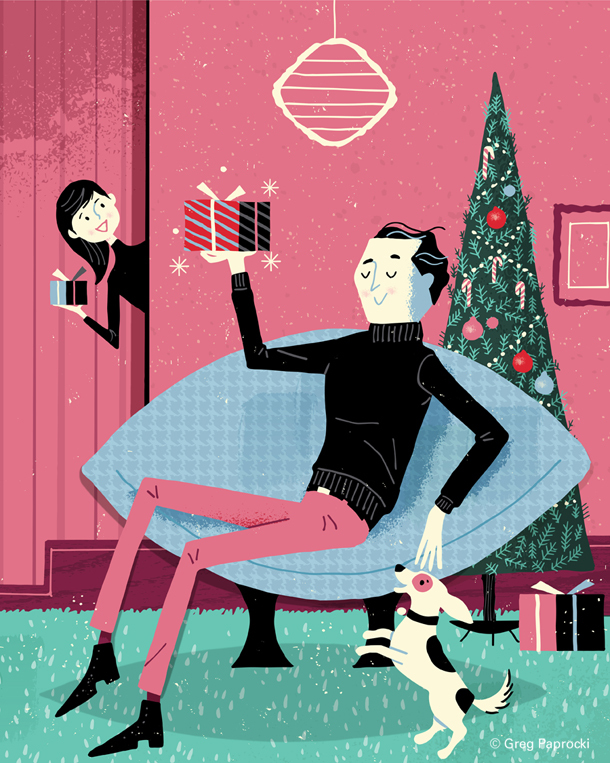 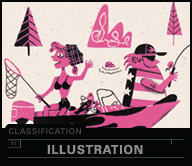 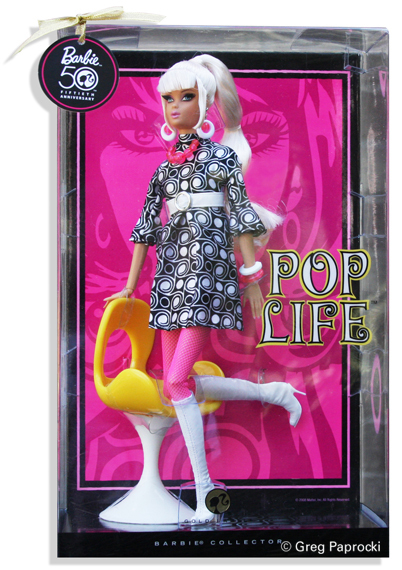 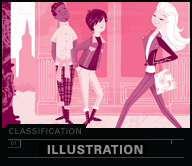 Included is artwork for Barbie’s 50th anniversary packaging and various images for marketing. 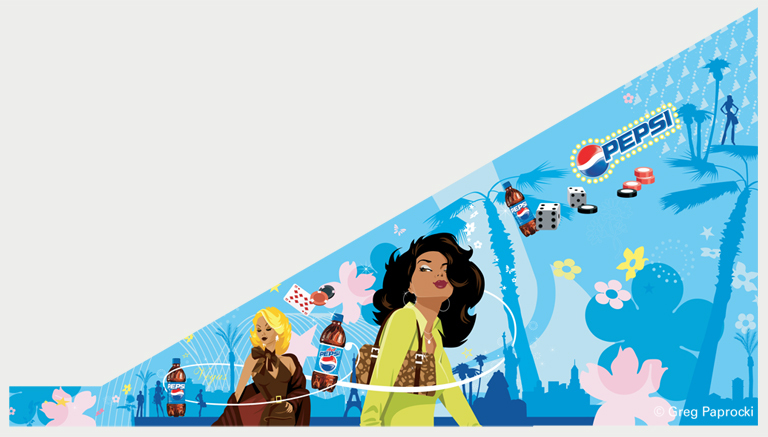 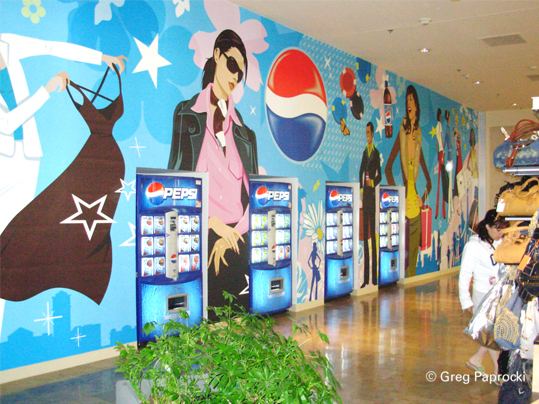 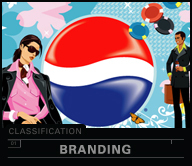 One of the projects Greg has worked on for Pepsi has been a wall mural. 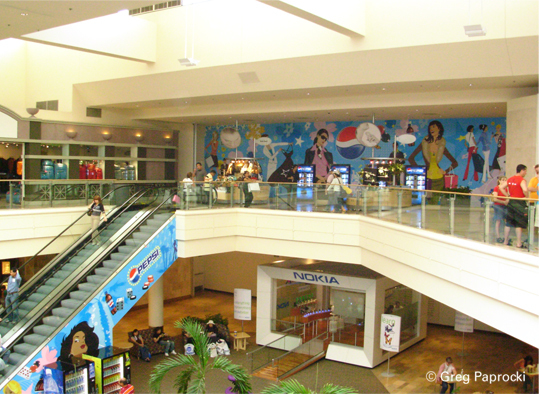 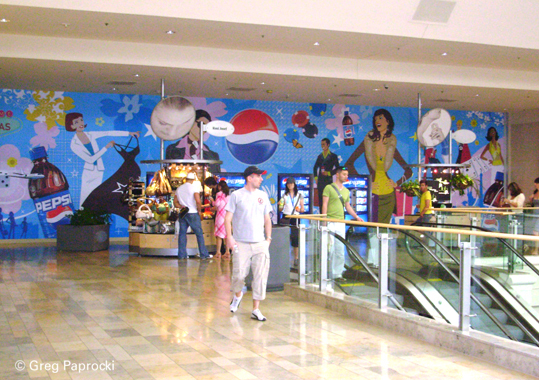 This project was focused on the energy, attitude and activities in Las Vegas where this artwork appeared in a major mall. 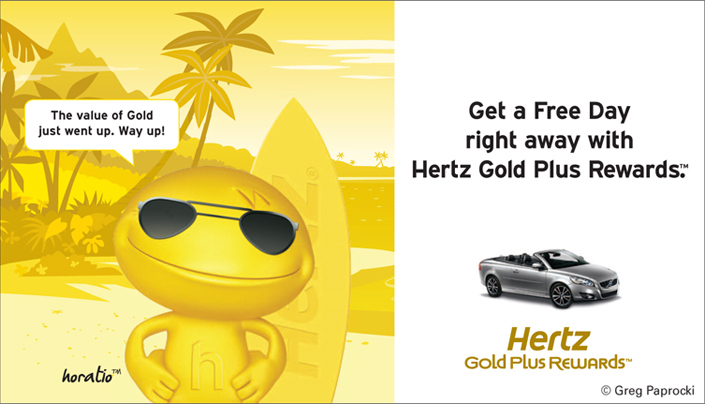 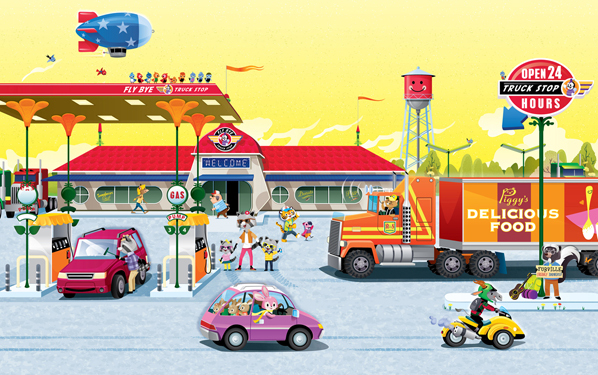 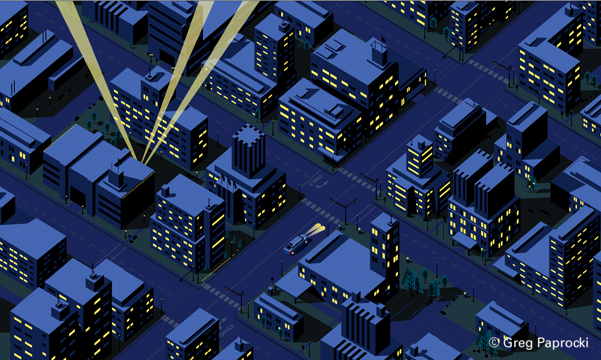 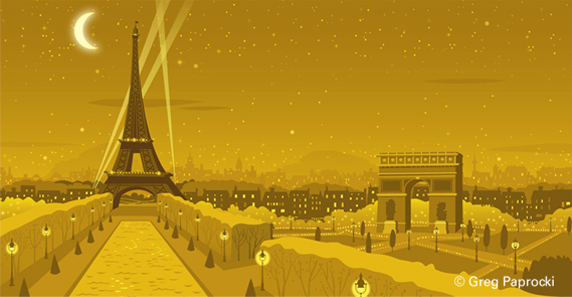 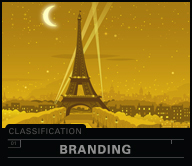 Greg was asked to make several charming backgrounds for Hertz’s global branding initiative. 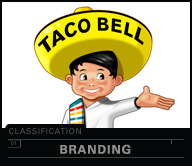 Greg has been fortunate to work internally with Taco Bell corporate for several years. 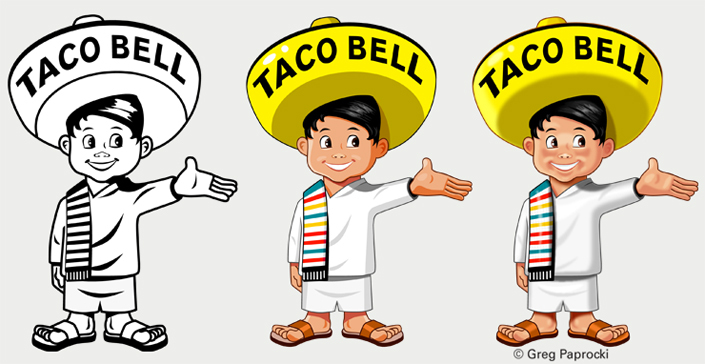 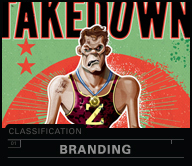 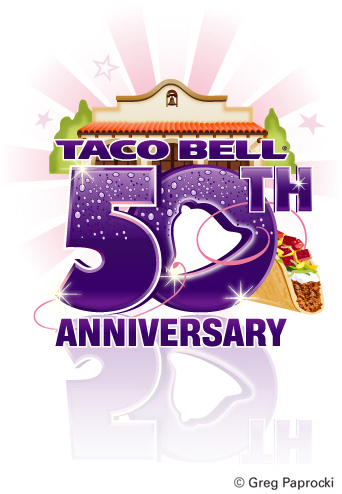 Included is a small sample of projects including the refreshed Taco Bell boy character, the 50th anniversary logo and training images. 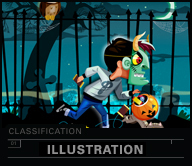 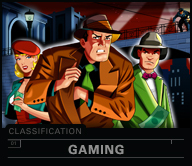 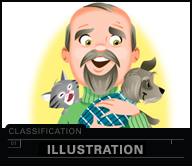 Game artwork for Video King for their bingo gaming systems. 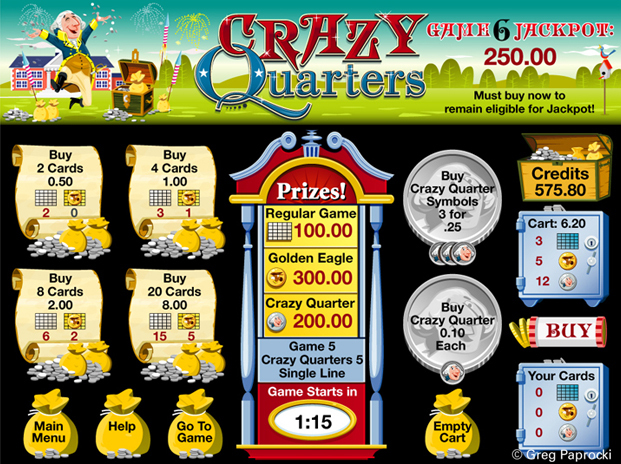 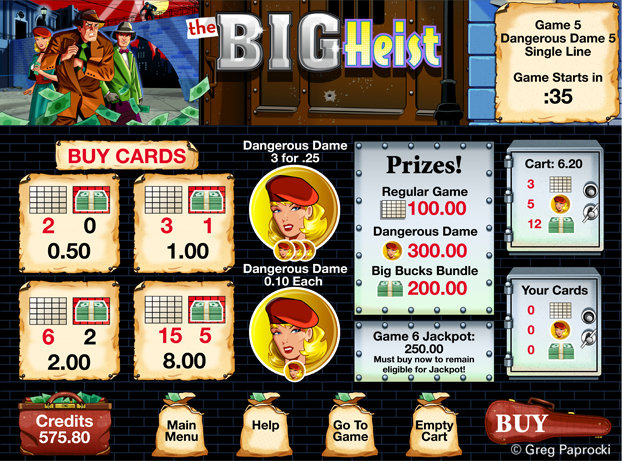 This includes “The Big Heist”, “Crazy Quarters” and “Quick Shot”. 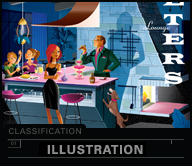 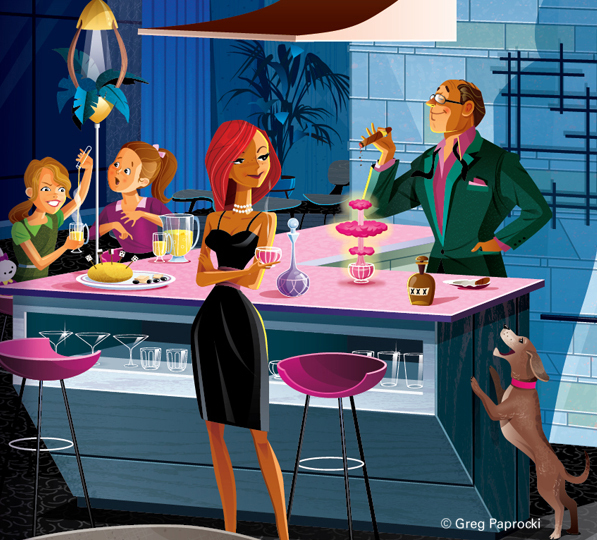 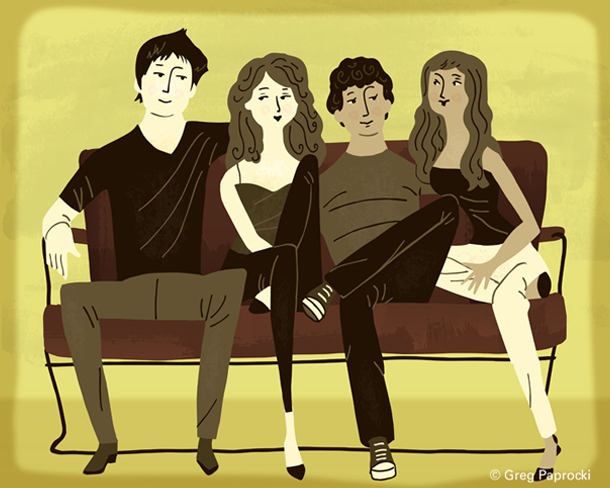 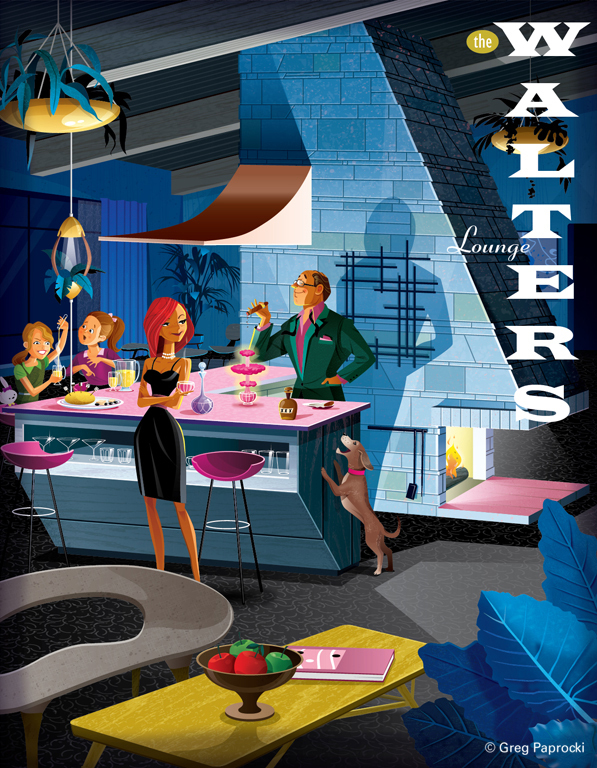 This is a graphic interpretation of a family and their house’s bar. 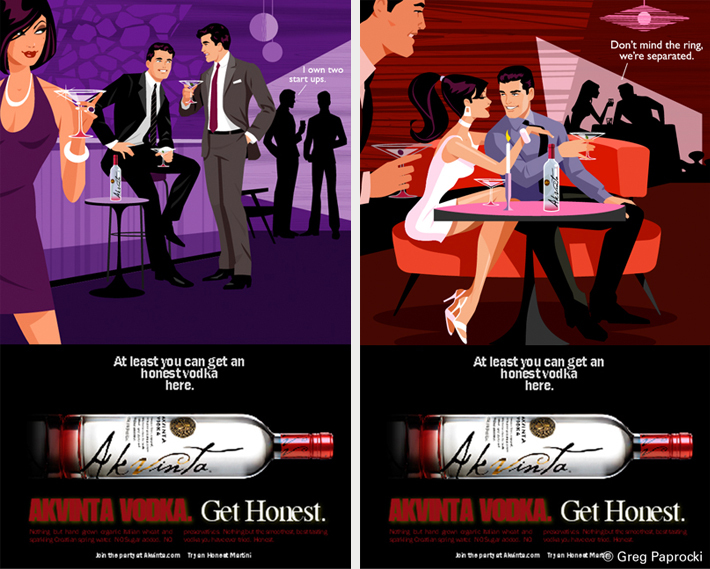 Akvinta vodka is a high-end Russian Vodka recently introduced to the United States. 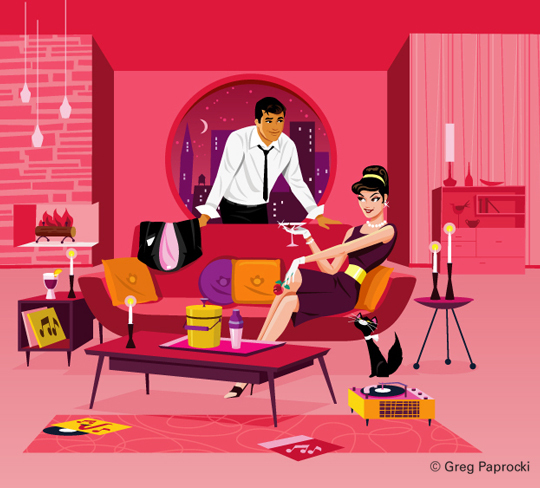 Greg was asked to capture the 60s lounge feel for a sophisticated audience. 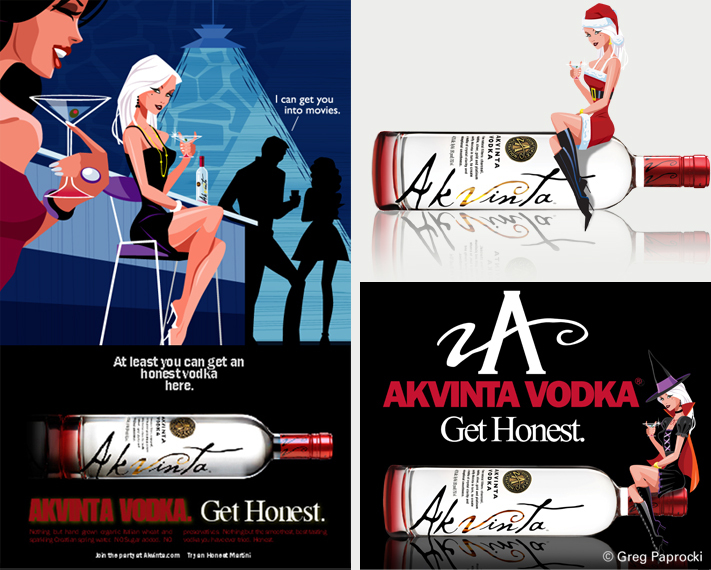 Included are ads and images used on the Akvinta website. 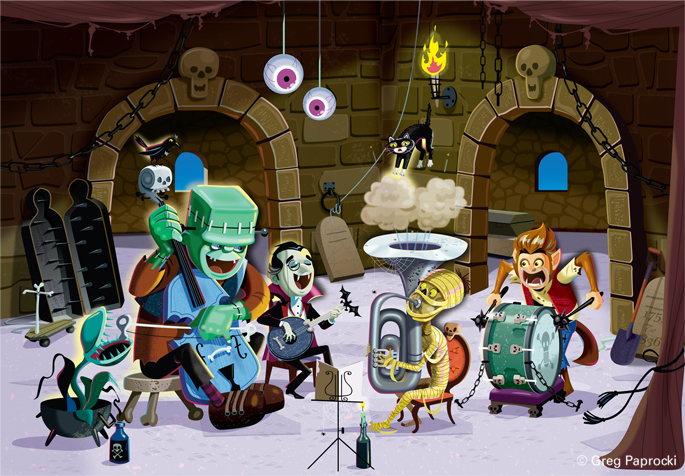 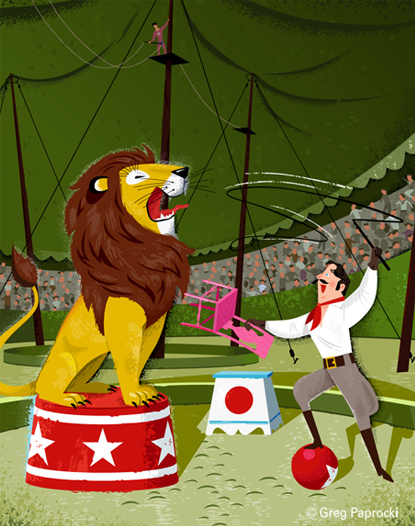 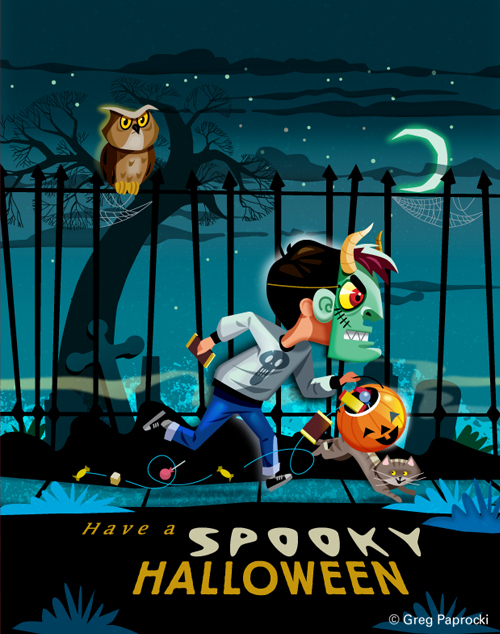 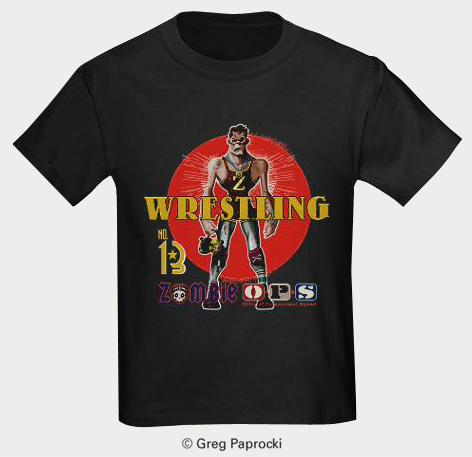 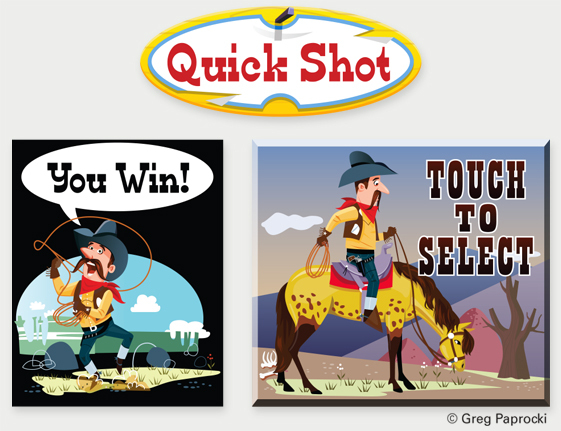 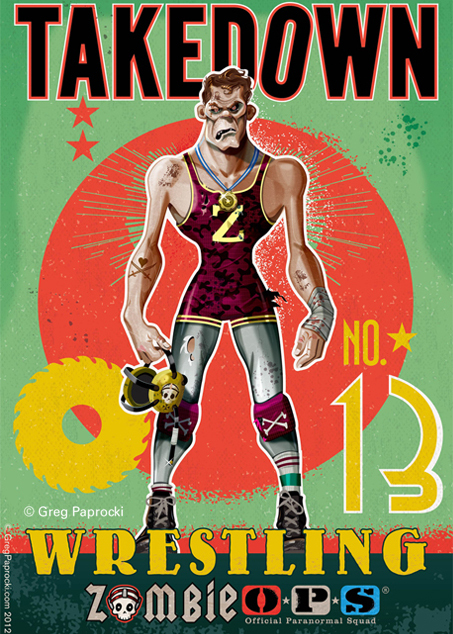 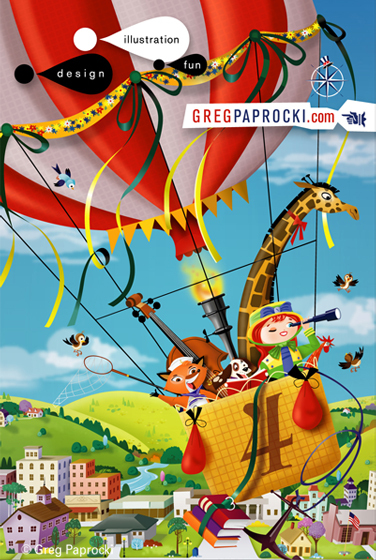 This is a series of fun posters created by and for Greg Paprocki, Inc. 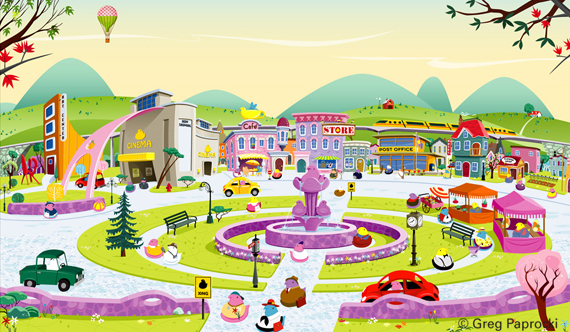 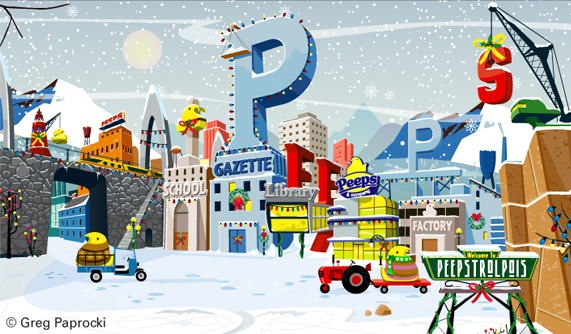 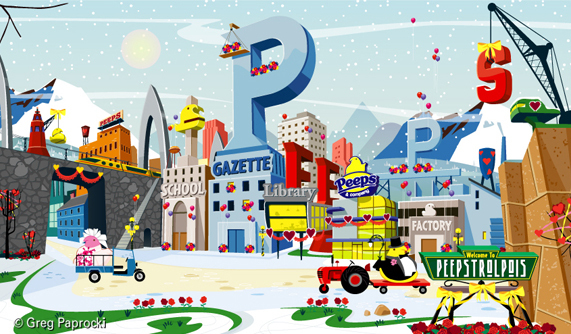 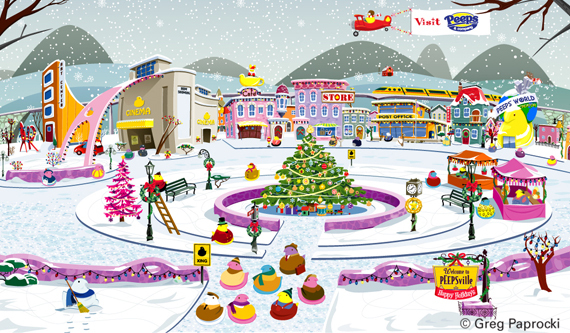 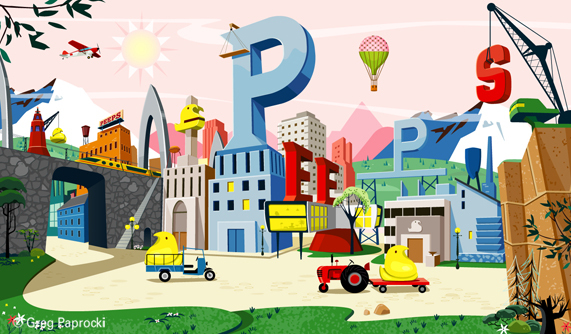 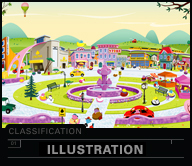 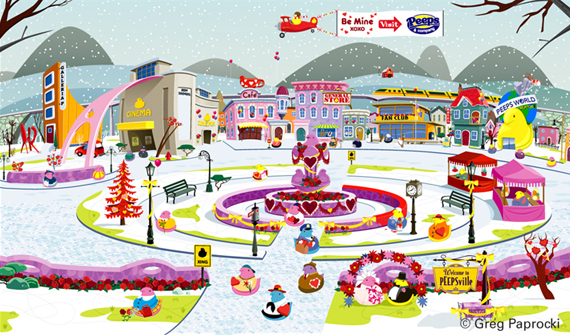 Through Amplitude Marketing, Greg was commissioned to create a â€œPeeps Worldâ€ of environments depicting different seasons and holiday. 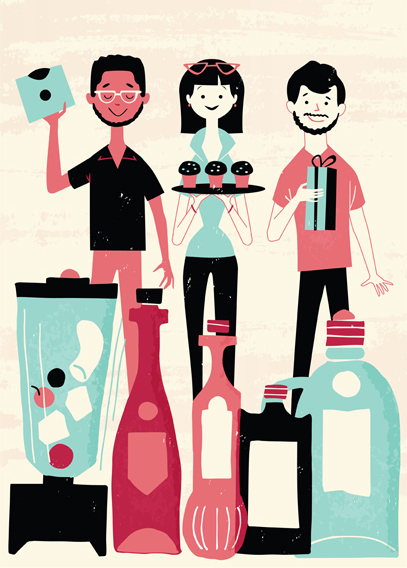 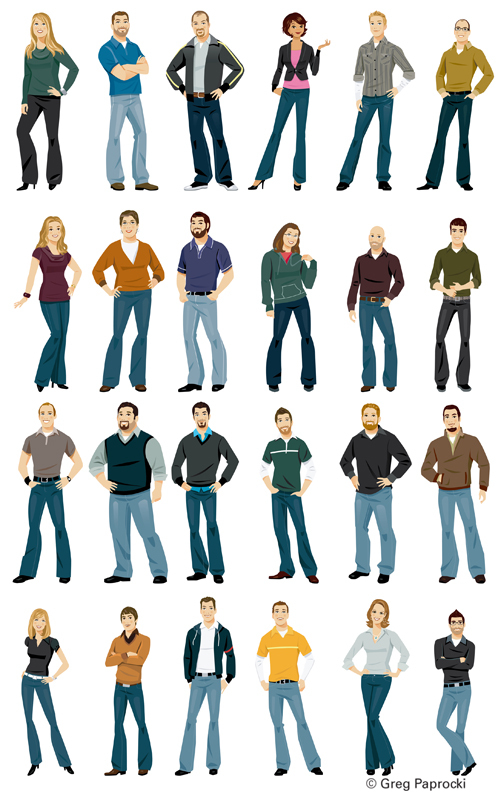 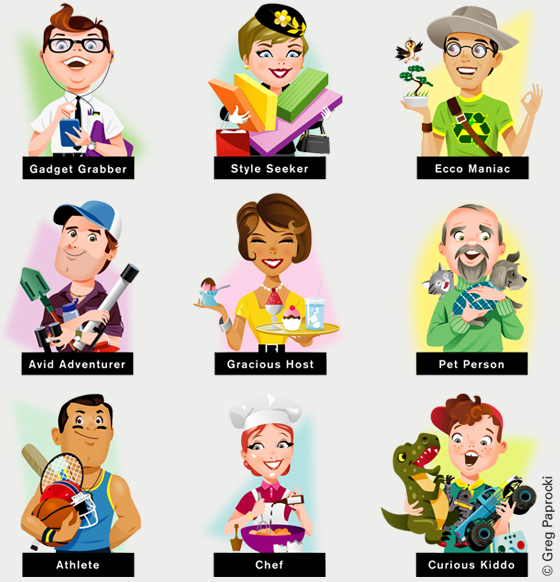 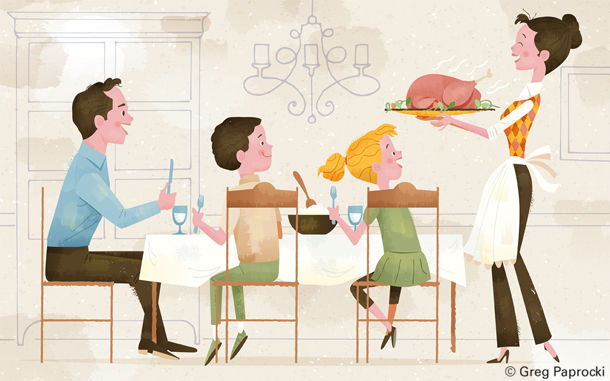 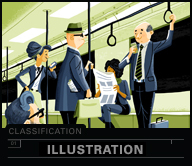 This charming project for Hayneedle included characters representing different types of customers. 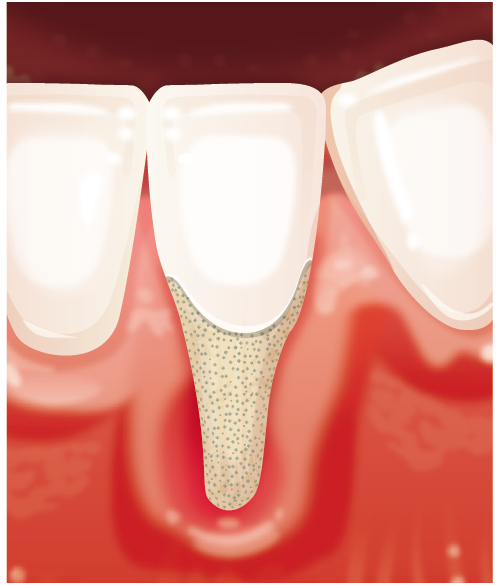 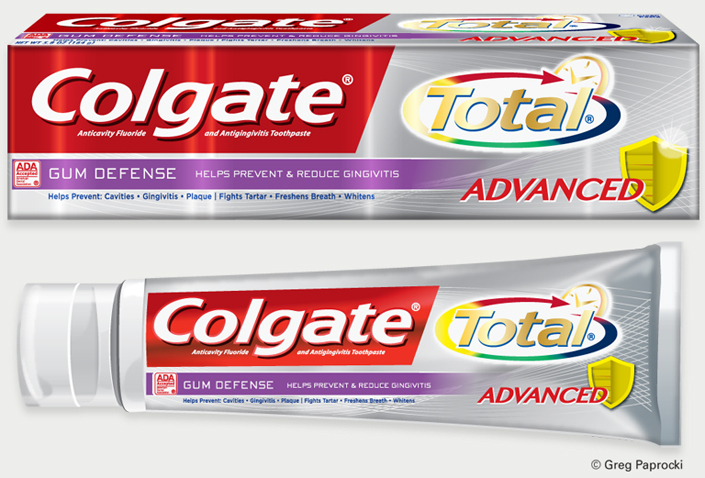 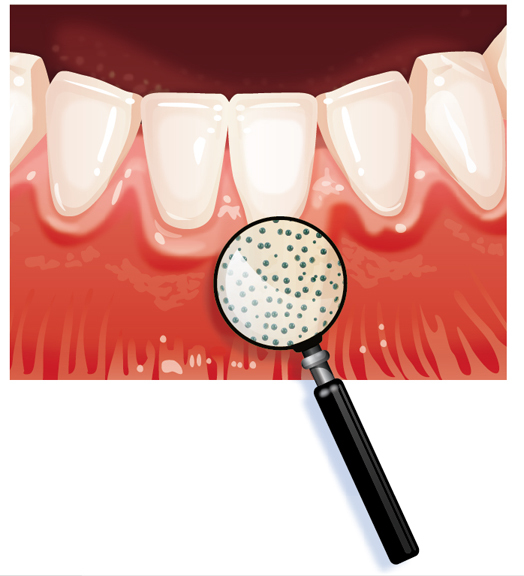 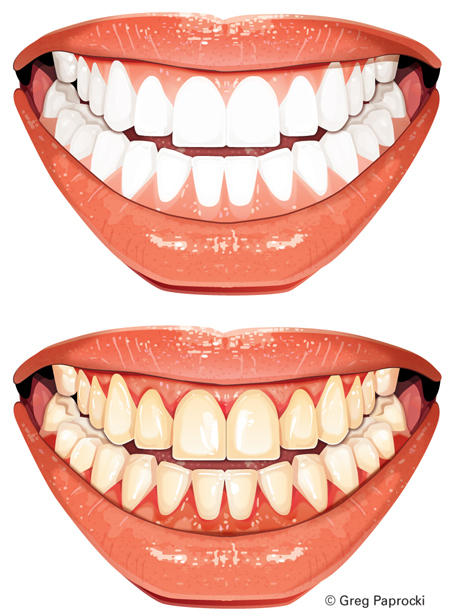 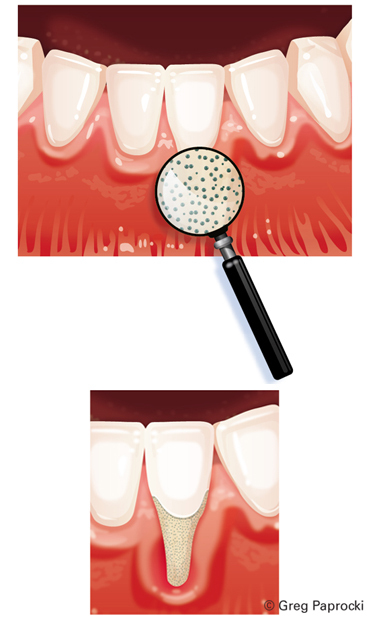 Here are photo realistic and technical illustrations for a Colgate presentation. 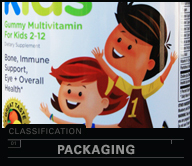 They include packaging and healthy and diseased teeth and gums. 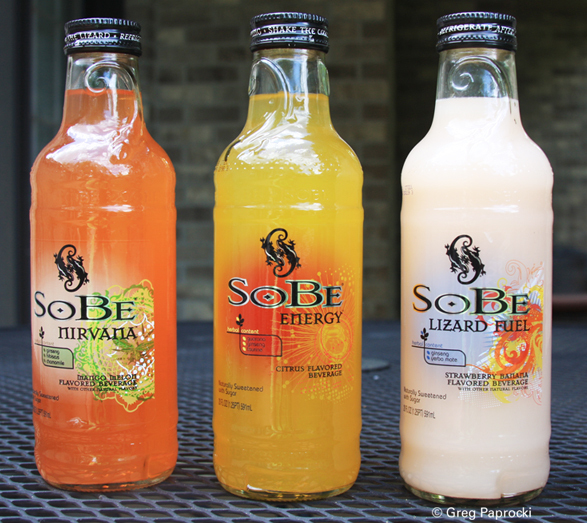 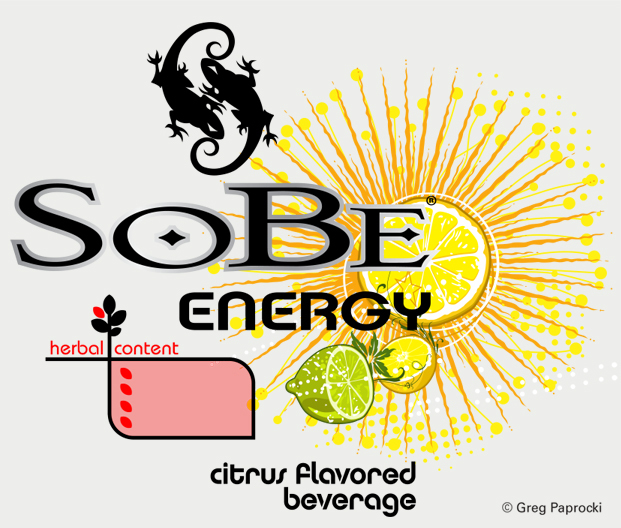 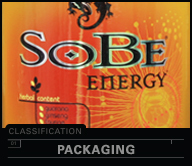 Greg was involved in one of the redesigns for SoBe drink labels. 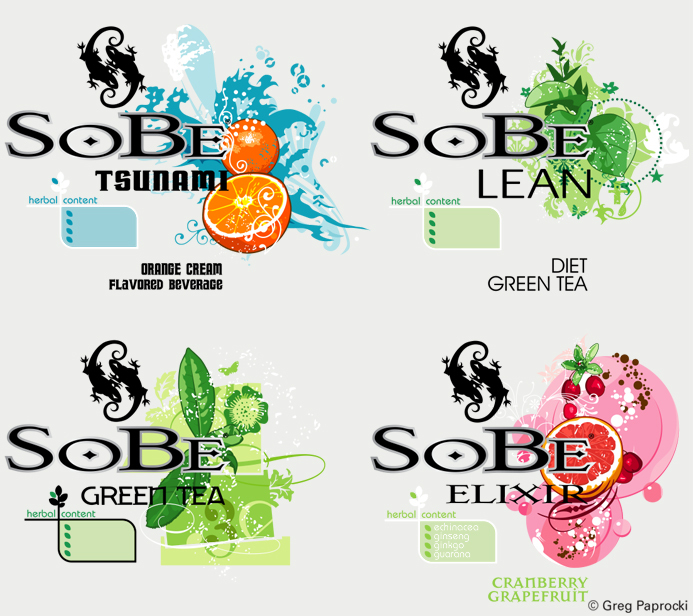 The challenge was to graphically express each flavor with out focusing directly on the ingredients. 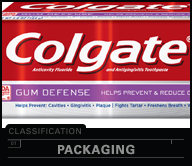 Dental City is a supplier for dental products. 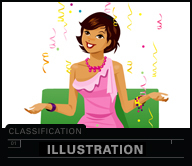 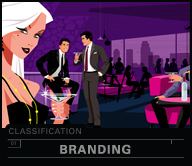 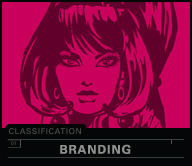 Greg created a diva spokesperson for the web and digital representations of people connected to the business. 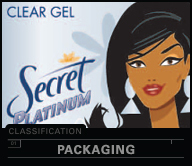 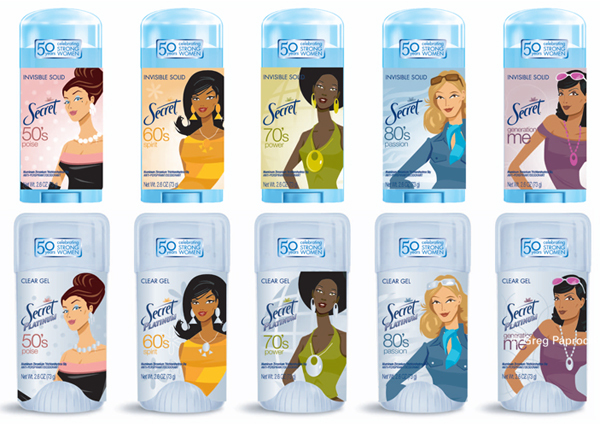 Proctor and Gamble wanted to create special packaging for their 50th Anniversary Secret Deodorant canisters. 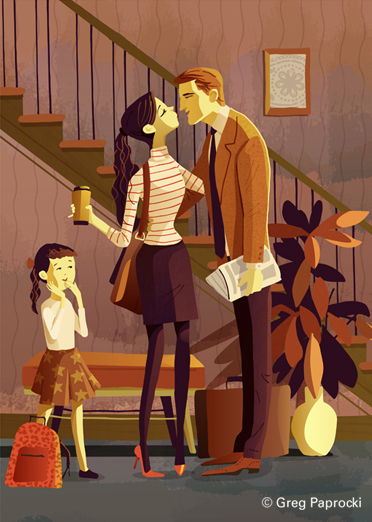 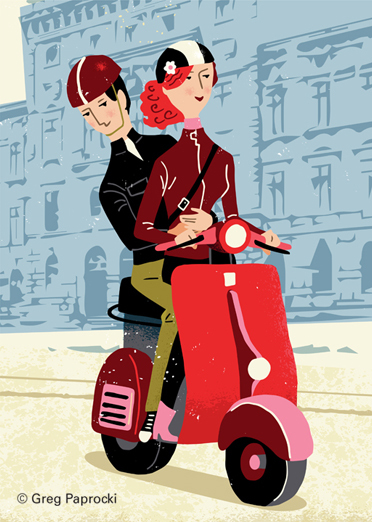 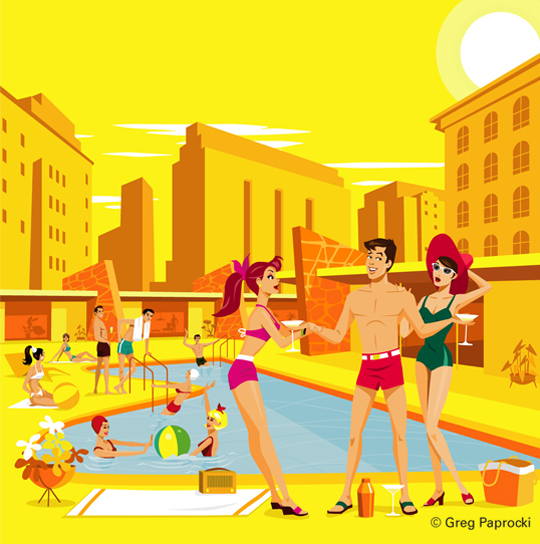 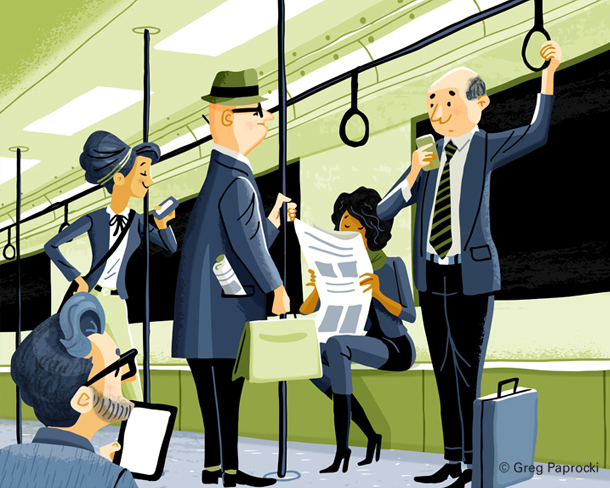 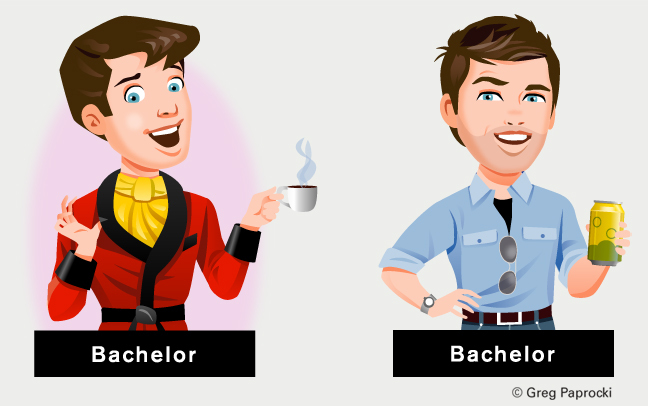 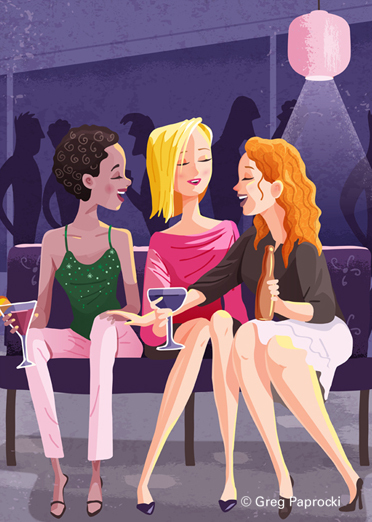 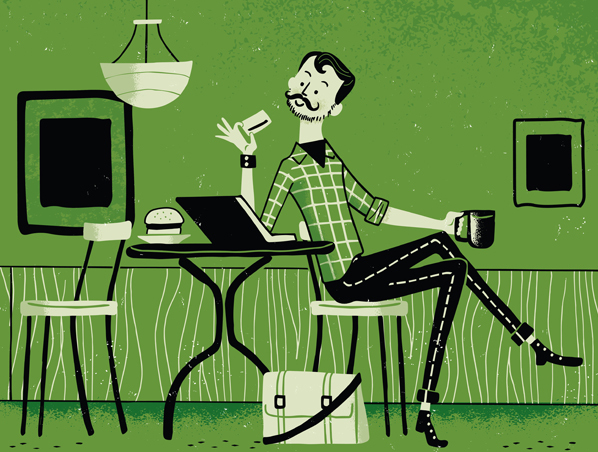 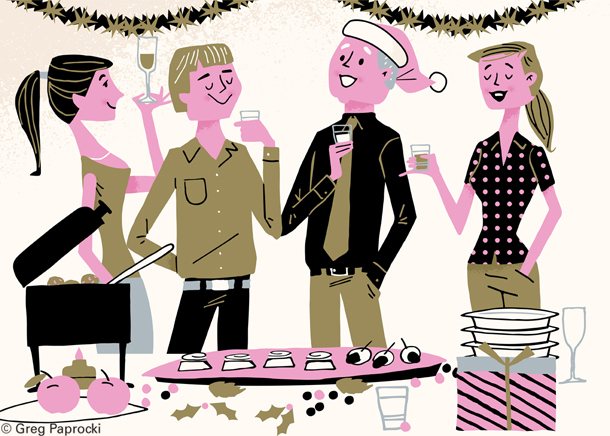 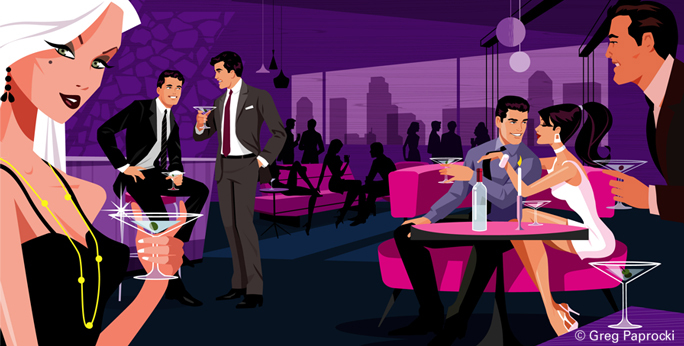 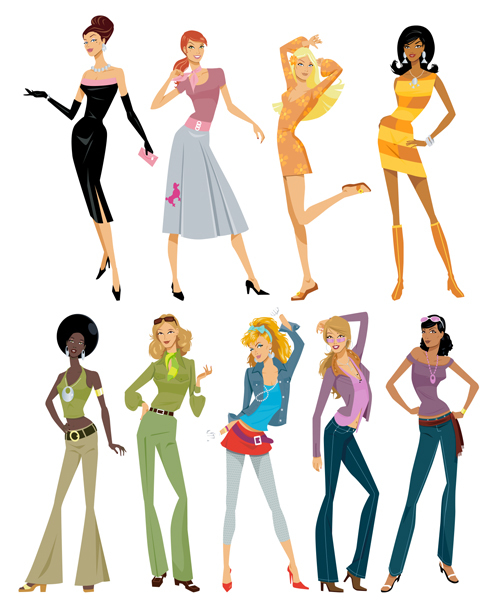 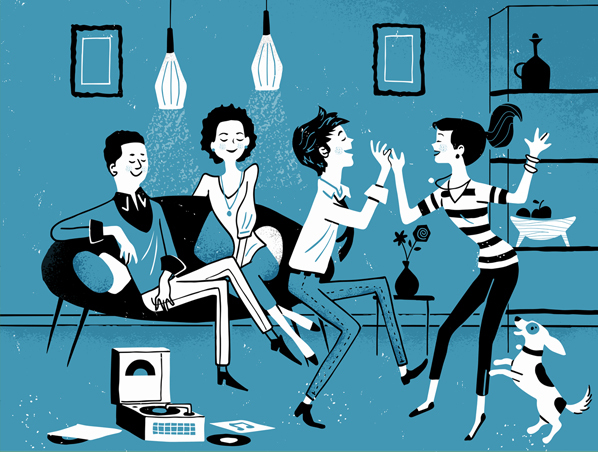 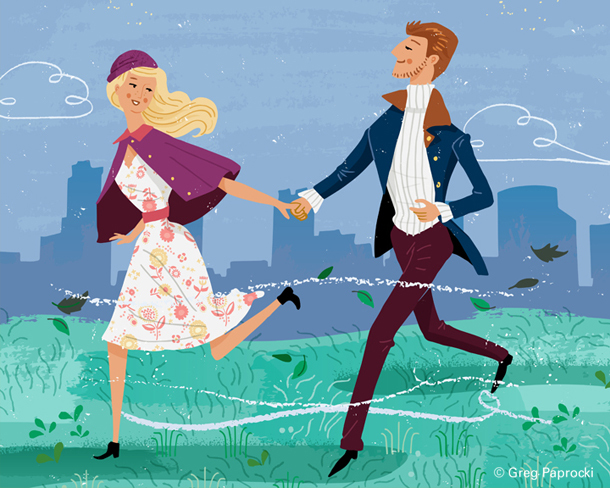 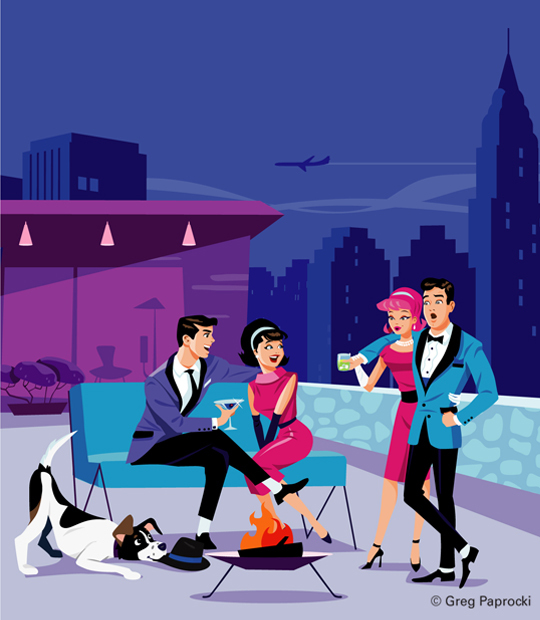 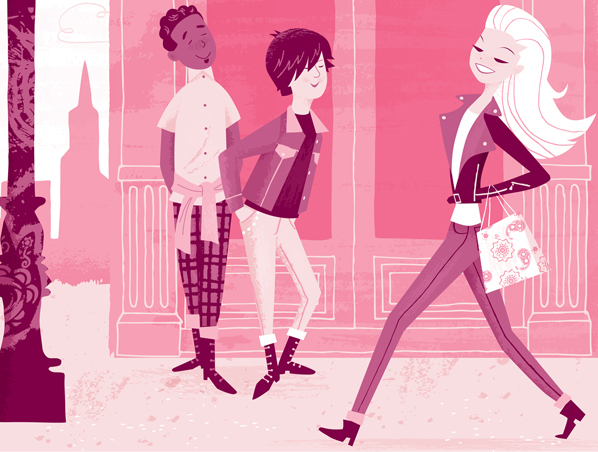 Greg was asked to create characters that captured the vibe of each decade from the 1950s to modern day. 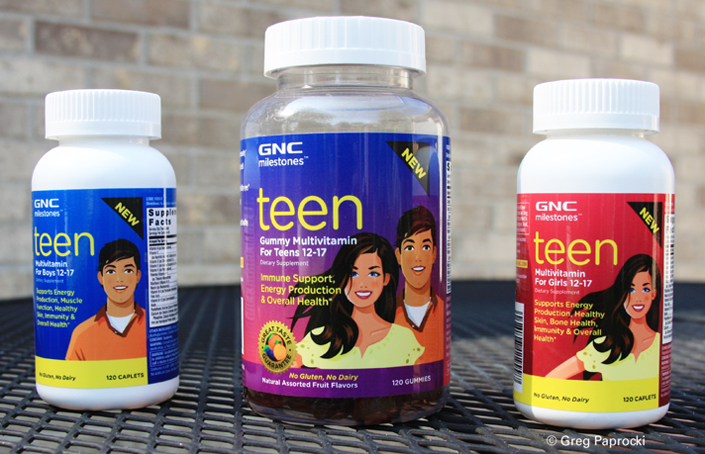 Greg has been fortunate to work with GNC on several packaging projects. 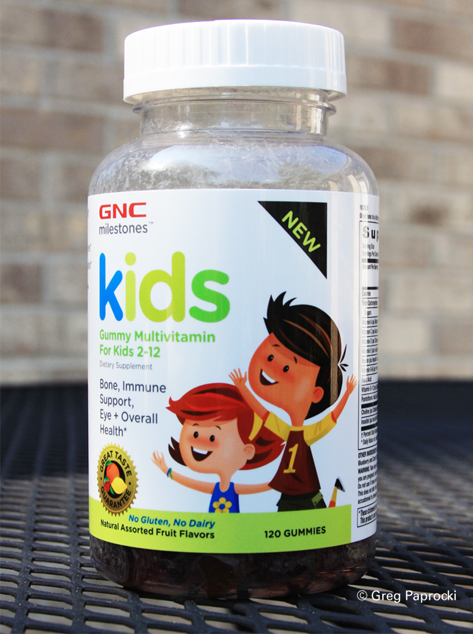 Included here is a fun kidsâ€™ vitamin bottle, the youthful exuberance of teen vitamins and a detail of the fruit flavor artwork. 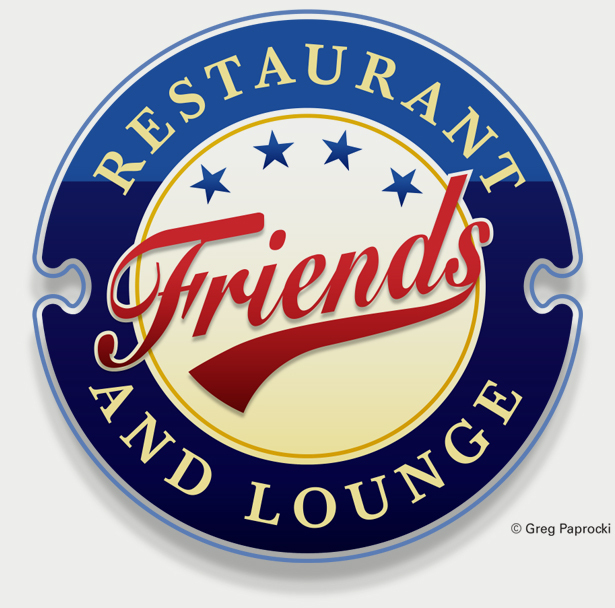 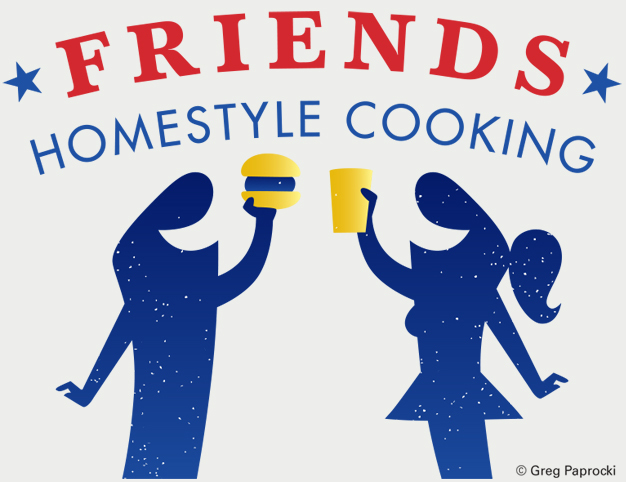 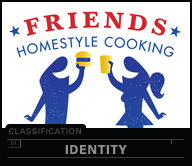 The logo for Friendâ€™s Restaurant and Lounge captures the spirit of quality and community that this establishment was looking for. 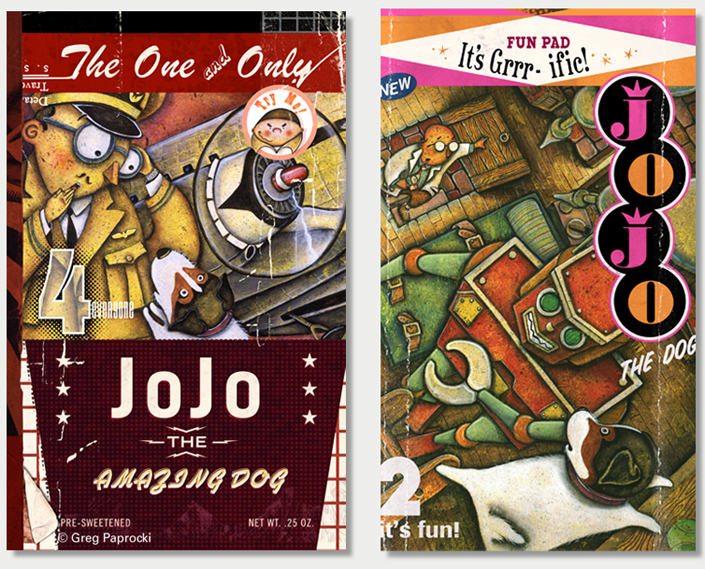 Artwork for Greg’s book concept “JoJo’s Big Taleâ€. 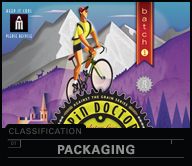 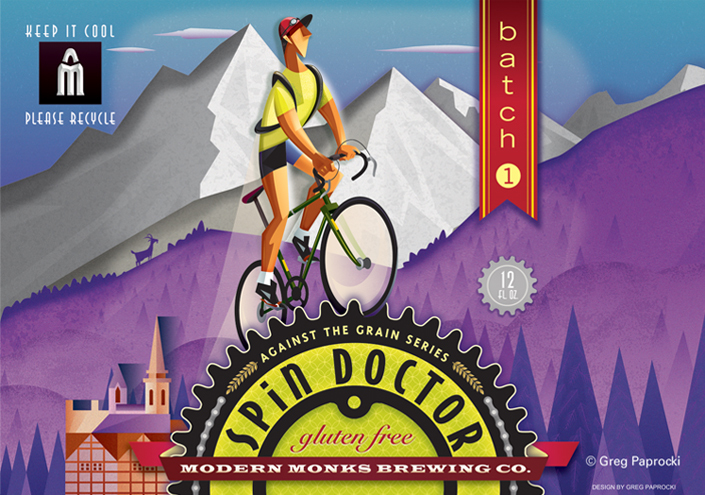 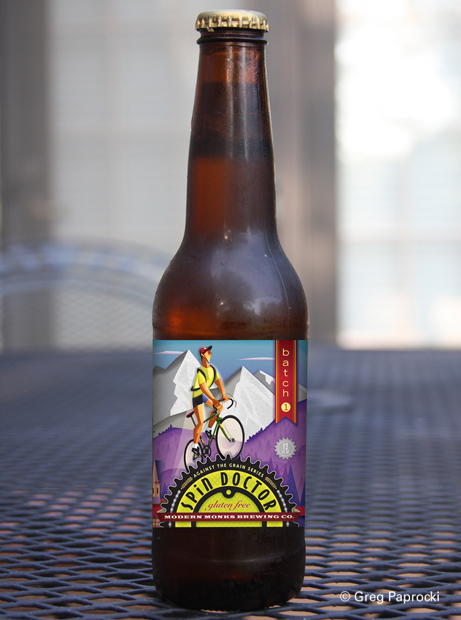 This beer label for Modern Monks Brewery ties together the Spin Doctor label with the concept of mountain biking. 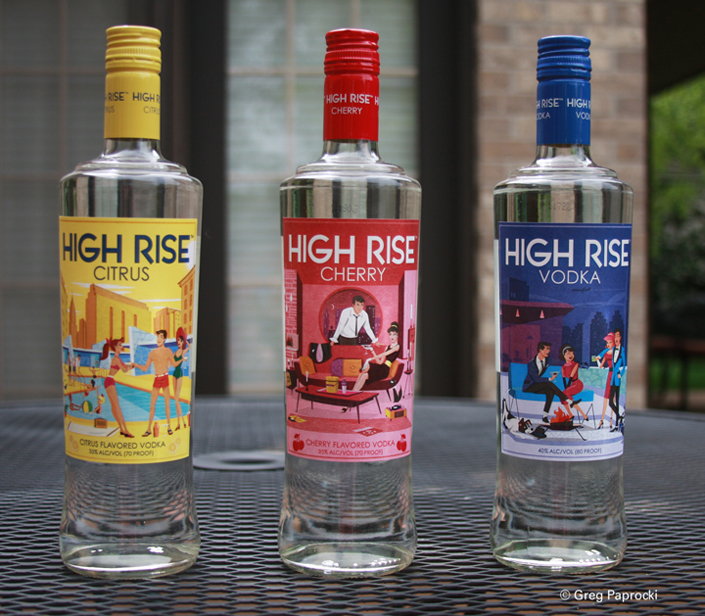 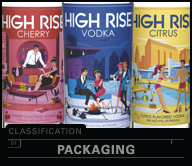 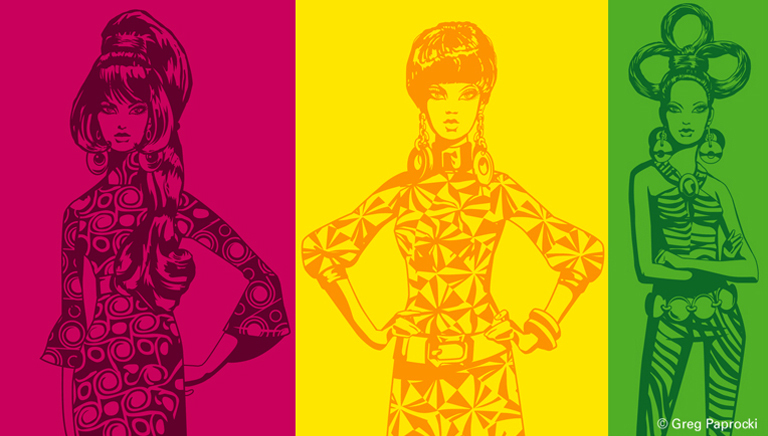 Three colorful vodka labels for High Rise Vodka capturing the Mad Men essence of the 1960s. 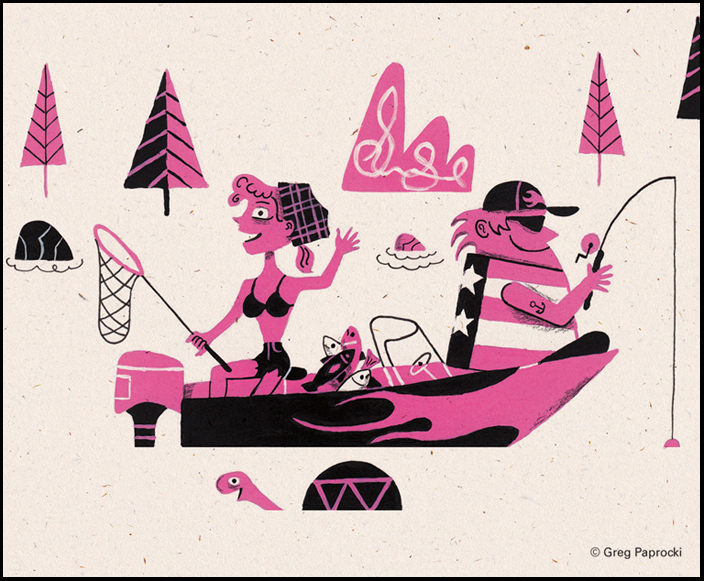 This exploitative tempera painting depicts the joy of fishing. 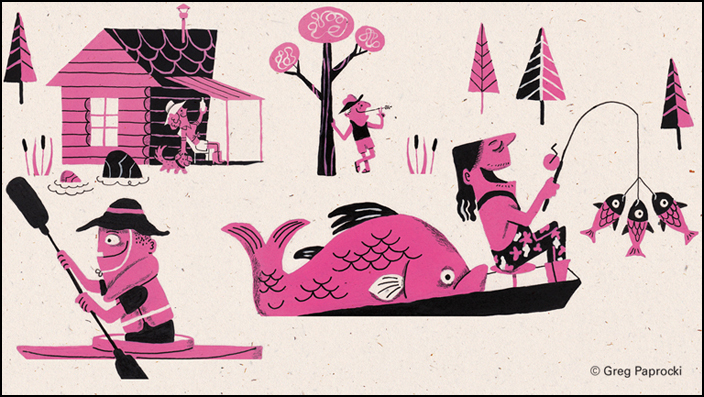 Commissioned project by Swanson Russell for the Make a Wish Foundation. 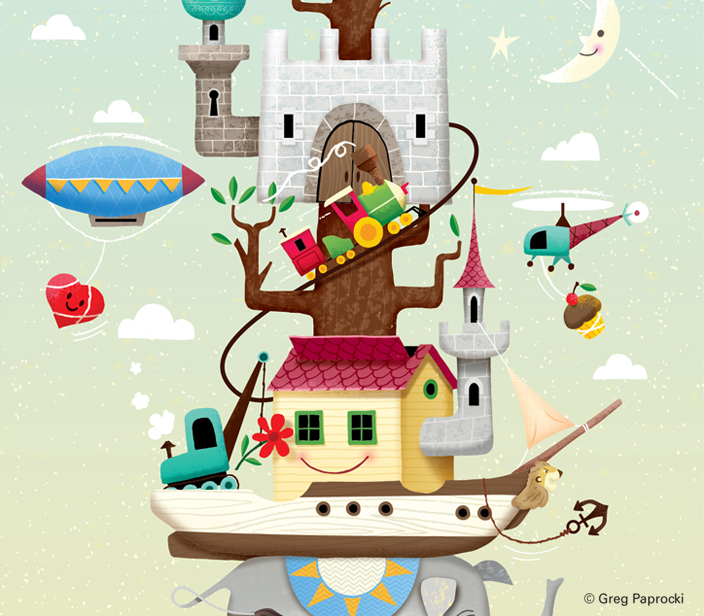 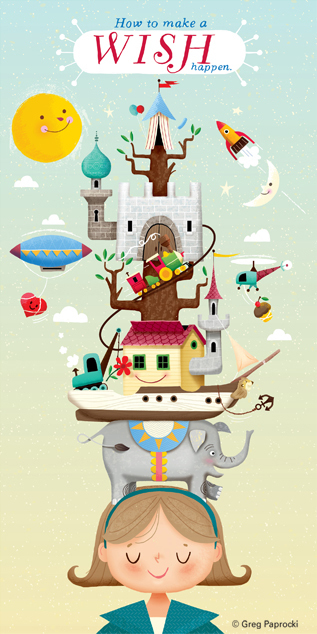 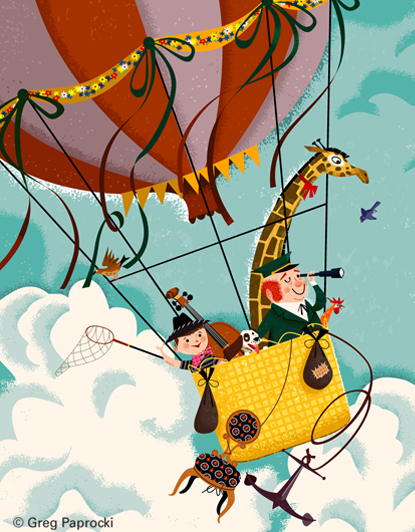 This fanciful poster encapsulates what happens in a child’s mind when they are making a wish. 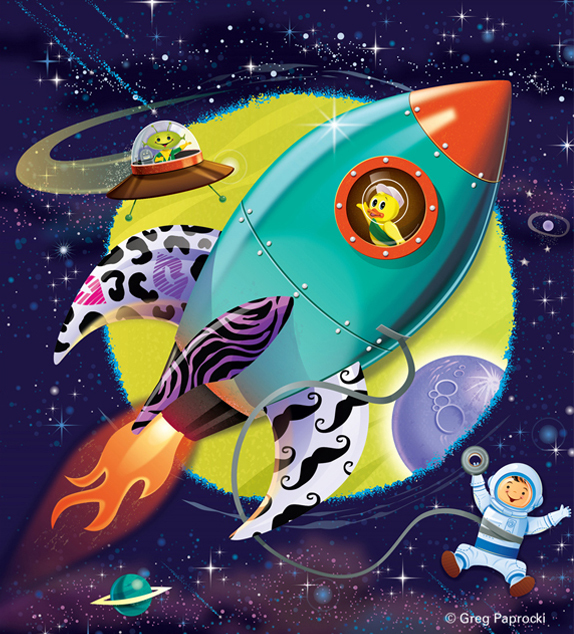 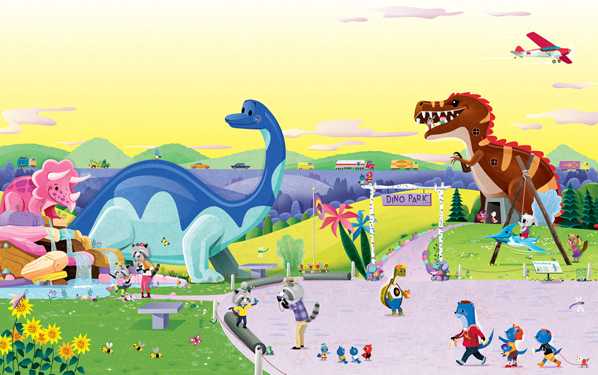 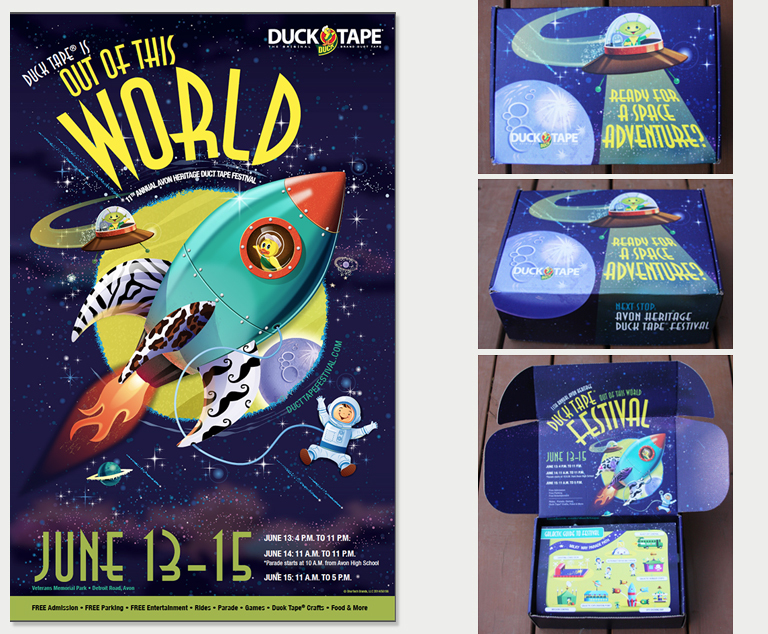 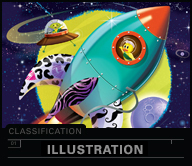 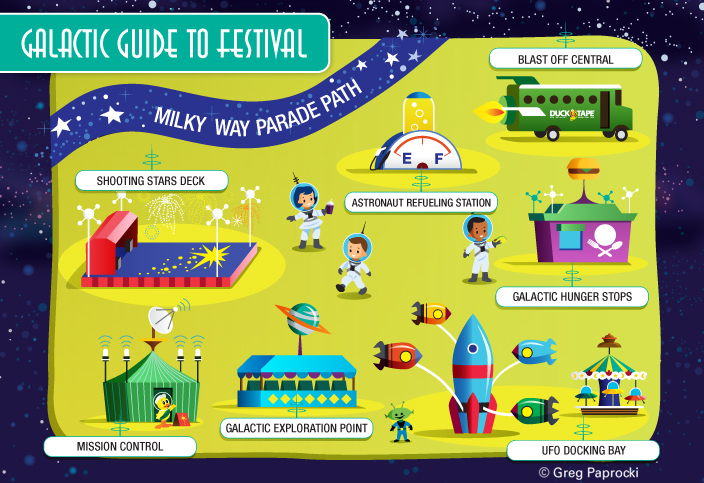 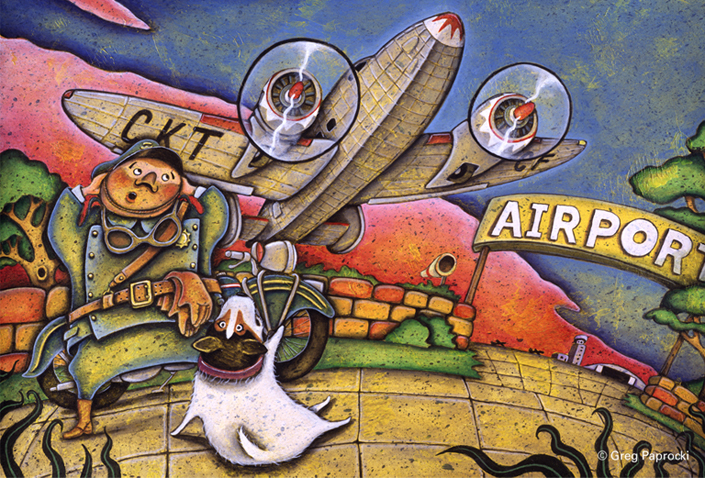 Artwork created for Falls Communications on their “Out Of This World” concept for the 11th annual Duck Tape festival. 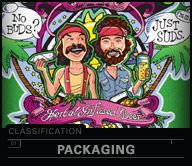 This includes a poster and press box.